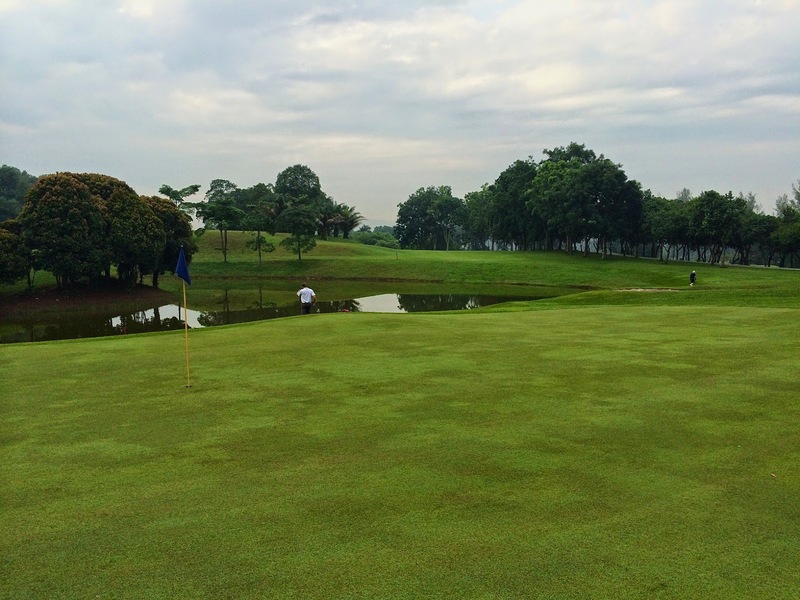 Next game will be at Tasik Puteri on Tuesday 3rd June. 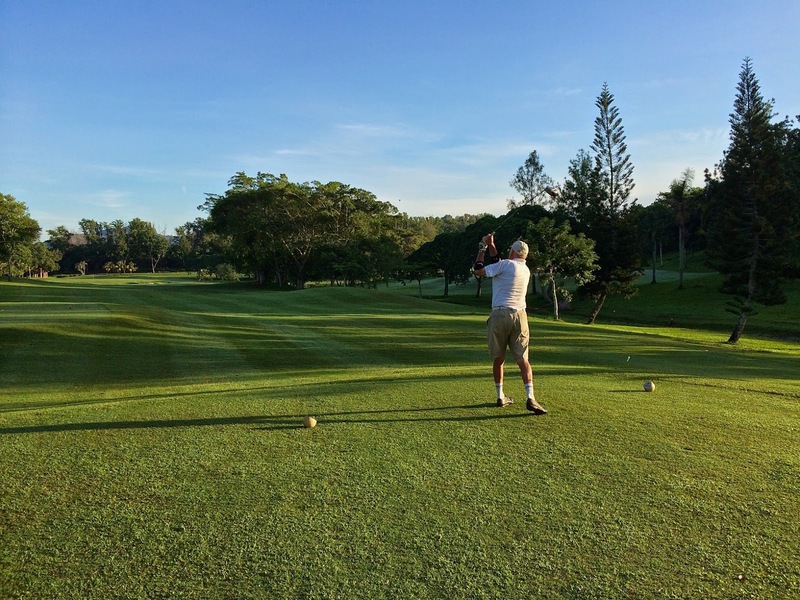 Six flights have been booked for a tee-off at 7:45am so please be at the club by 7:15am latest. 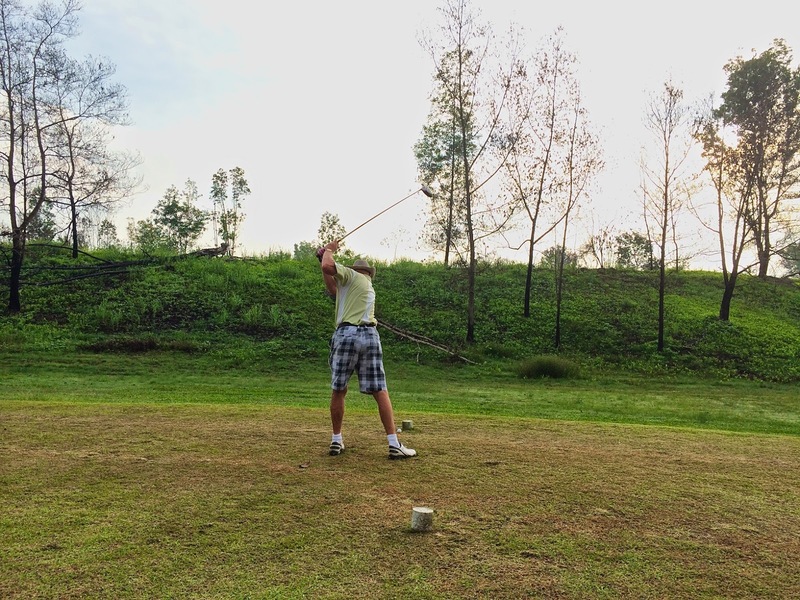 Please e-mail Allan McNicoll if you are playing. 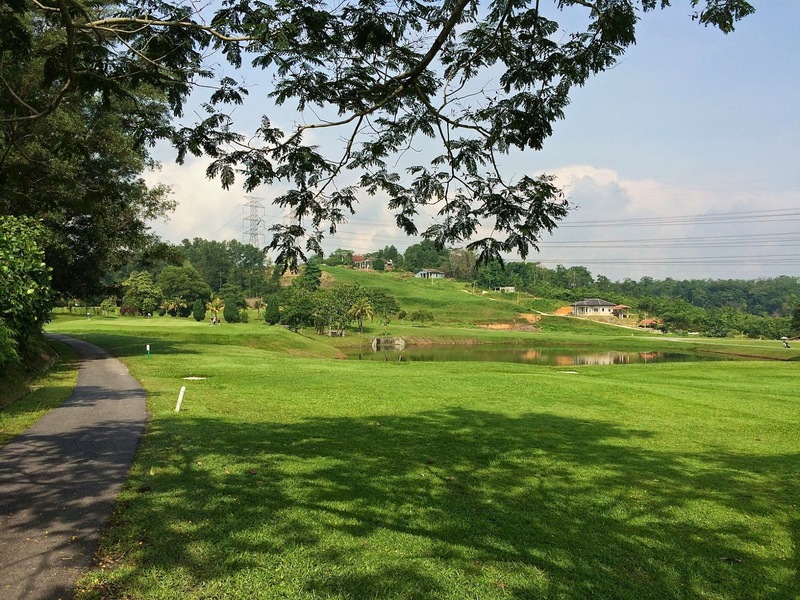 Normal rate is RM130 and Senior rate or TP book will be RM120 inclusive of green fees/buggy/insurance/tax and 1 caddy per flight (compulsory). 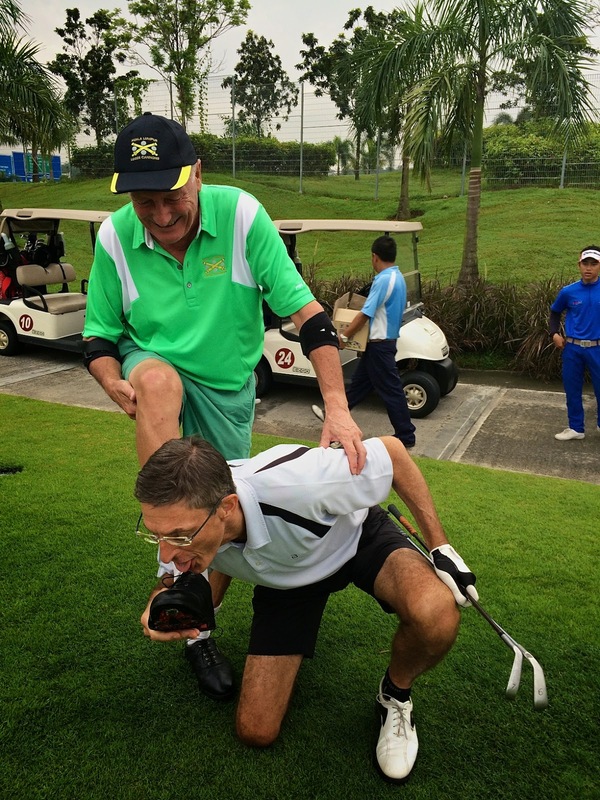 Additional caddies at players’ own expense. 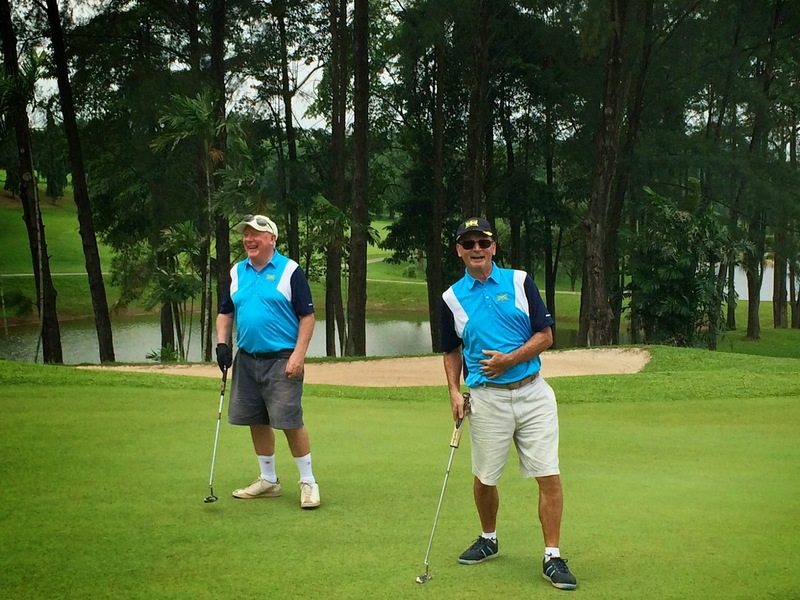 Lunch will be at the usual restaurant after the game. 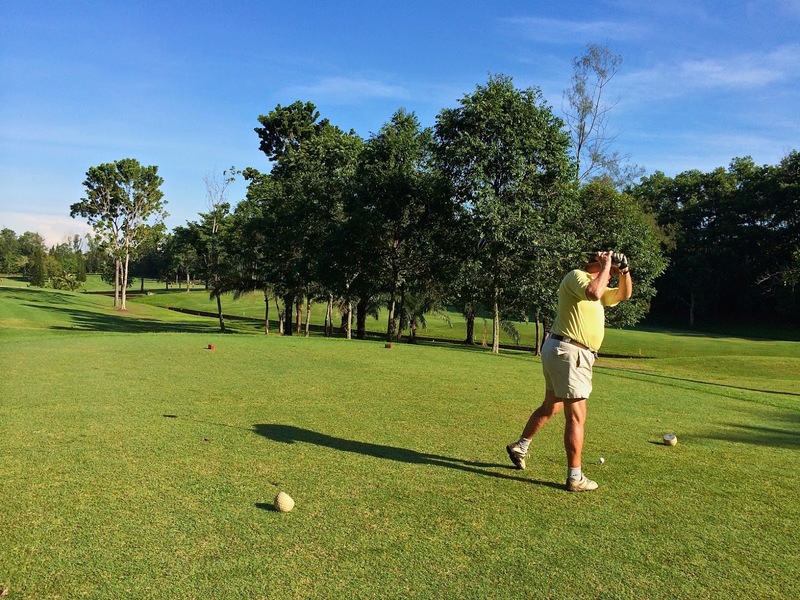 We had 6 full flights today at Palm Garden for the Monthly Trophy Game. 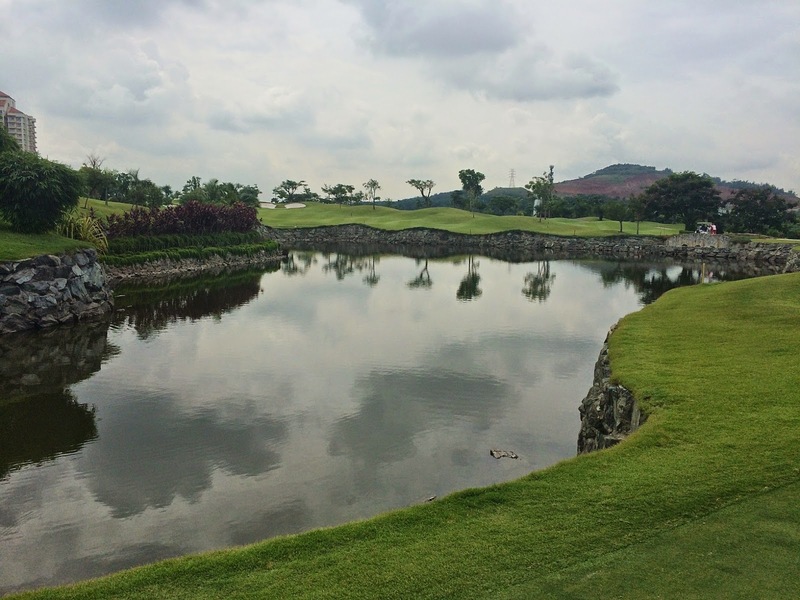 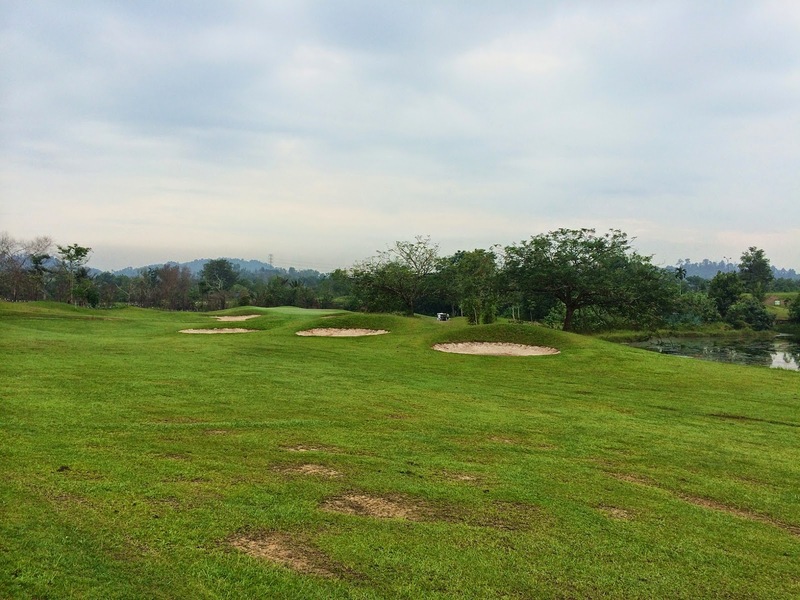 The course was in excellent condition with the hole positions well back and in difficult positions. 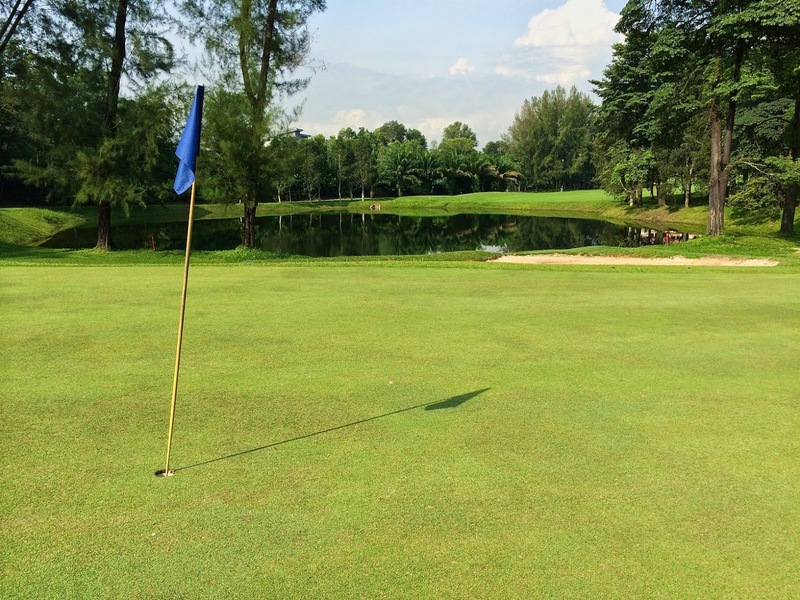 This along with the fast undulating greens with many of them exhibiting steep slopes at the edges made it a difficult task to putt (once you got on and actually stayed on the green!). 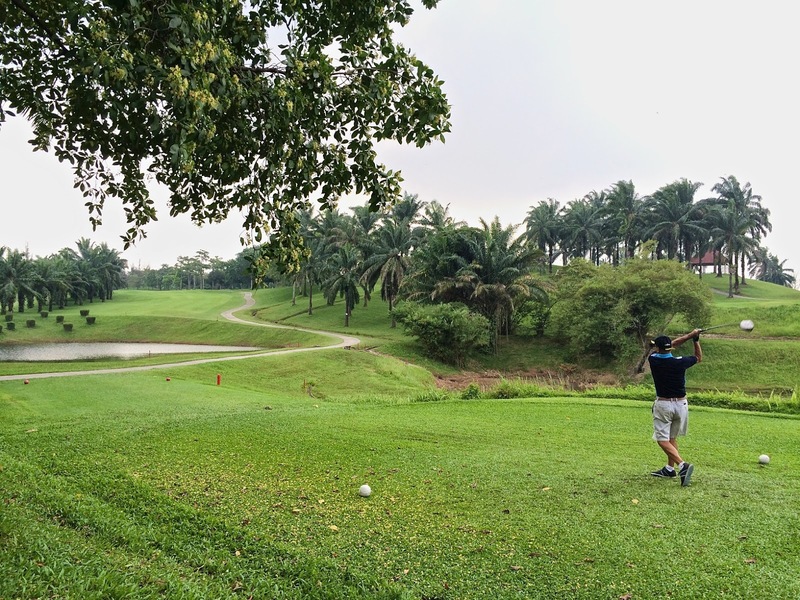 Weather was overcast but humid making it not too unpleasant. 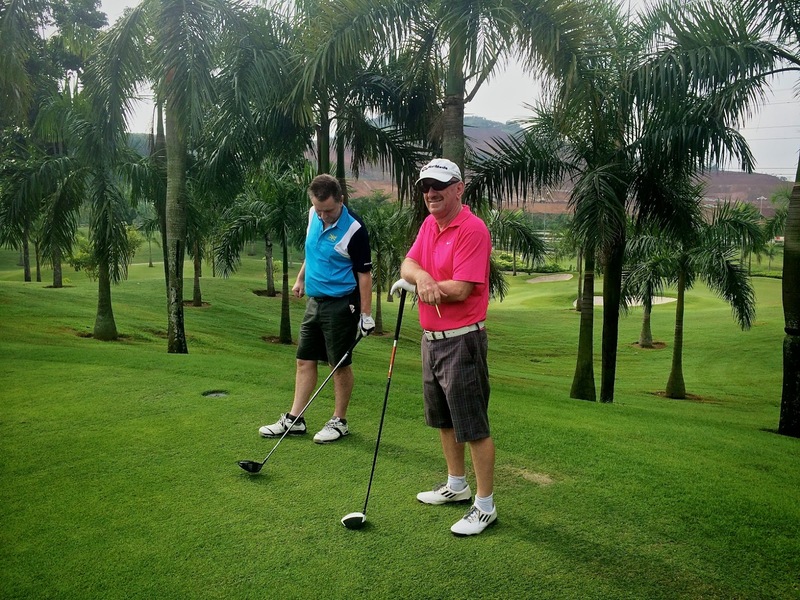 Our flight noticed that the caddies were rather poor not giving and advice on the greens and bringing wrong clubs, etc. 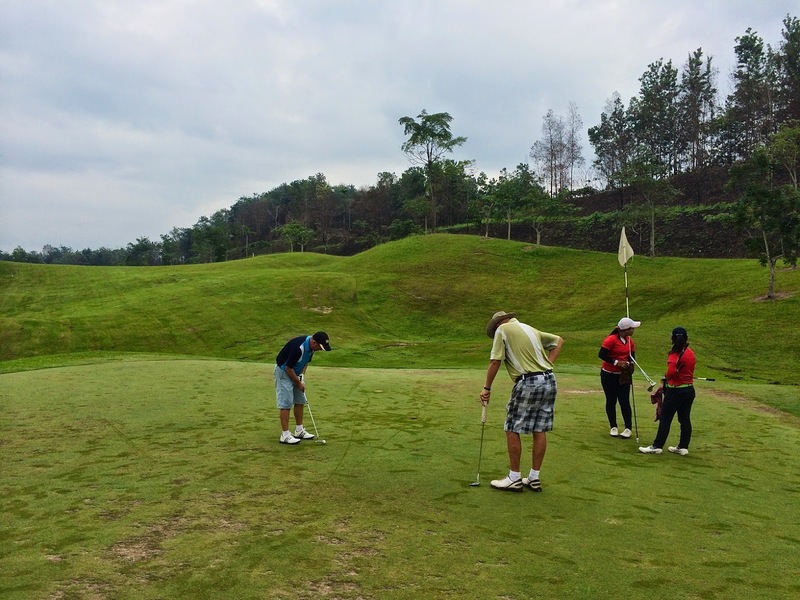 So some training is require there. 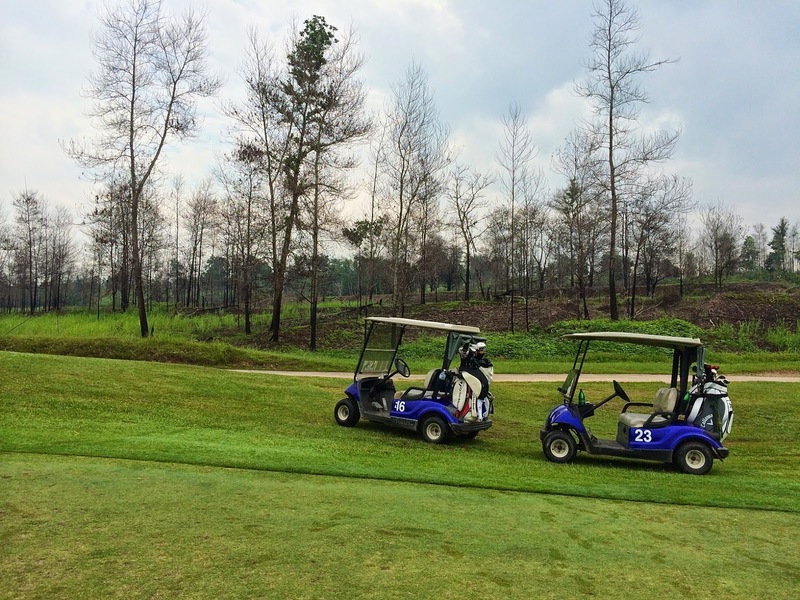 Also we had one hole where we were in the middle of driving when a buggy drove up towards us in direct firing line with an oblivious staff member driving the buggy back to the clubhouse! 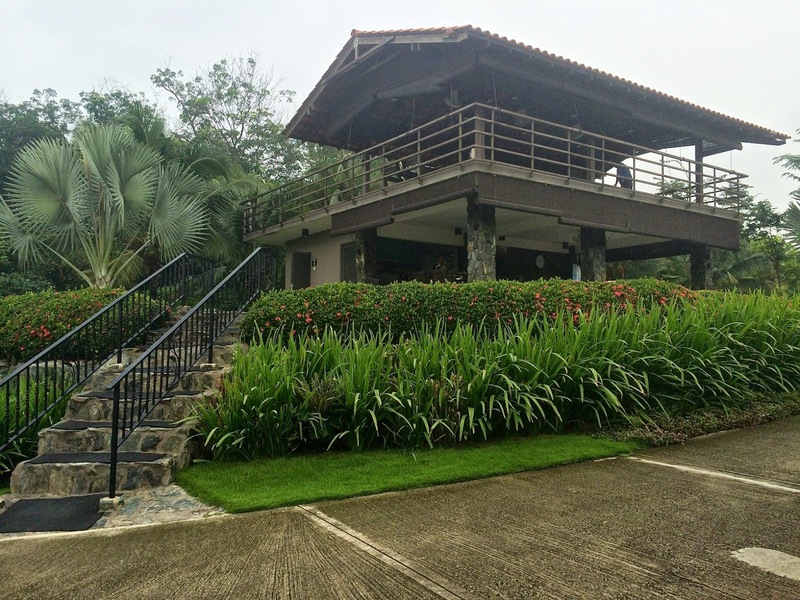 After the game we stayed at the club which worked out very well. 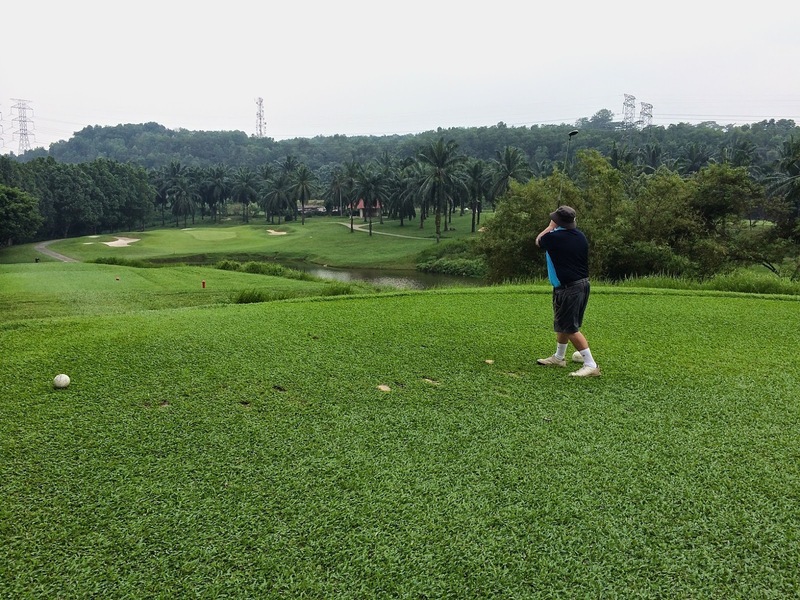 They had offered us a buffet lunch at RM60 per head which we passed on, opting for individual dishes which was somewhat cheaper and fairly quick (part from Iain Wise who had to wait some time for his fish and chips). 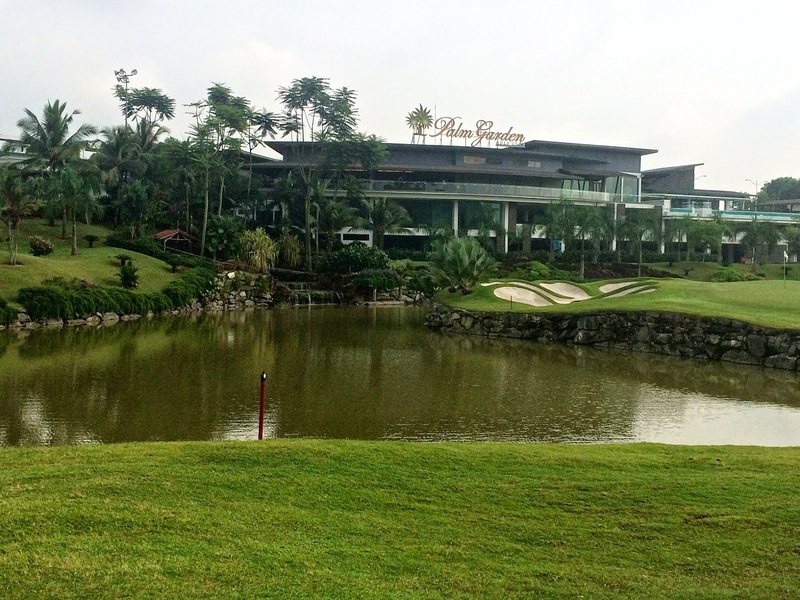 The fish and chips as always were excellent and a good choice to have at this club. 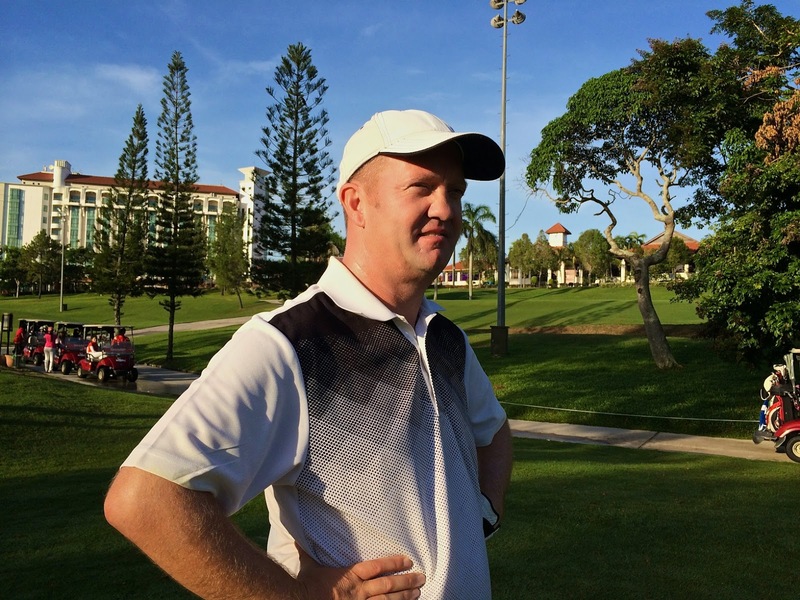 The best Stableford of the day was Greg Mackley with a gross of 97 and 39 points. 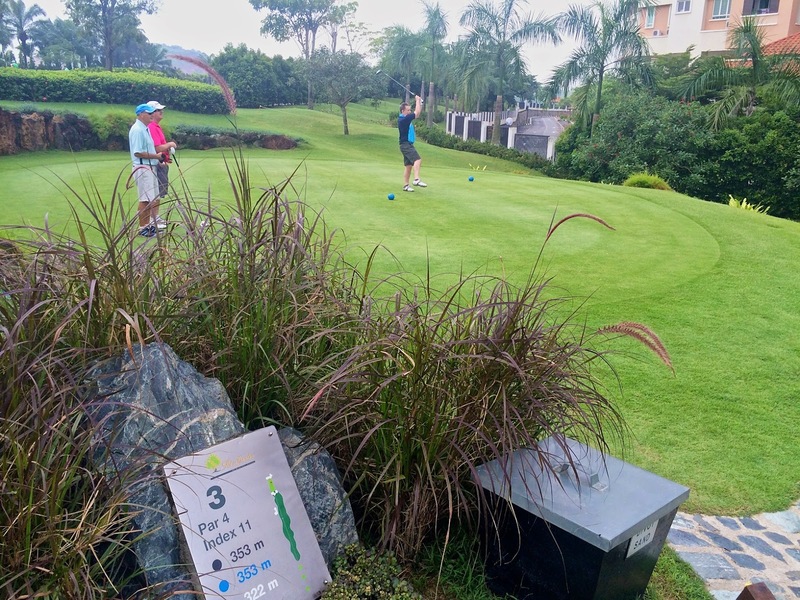 However Greg unfortunately does not have the requisite minimum number of 5 games with the group to register an “official” handicap so has to be excluded on this occasion from the prizes. 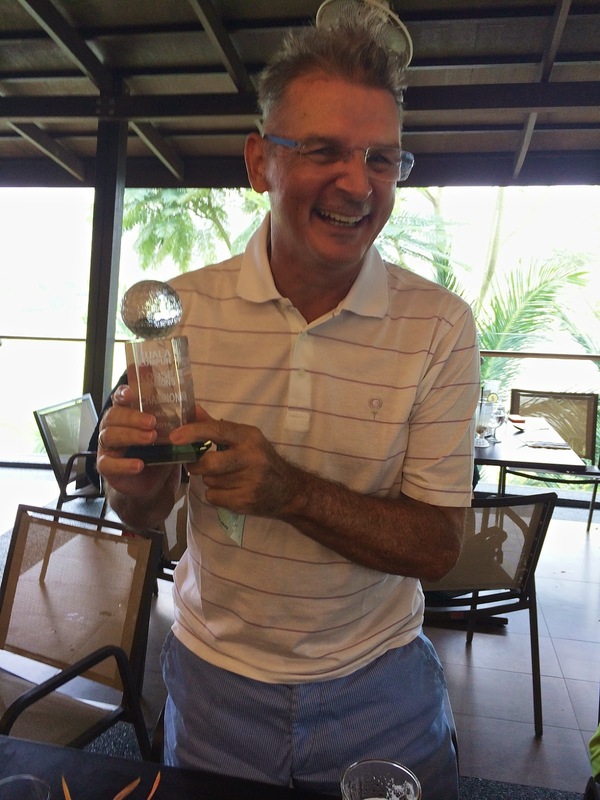 The winner was therefore Kevin Wiggins with a gross of 86 and 37 points so he took the May Trophy and the RM50 pot. 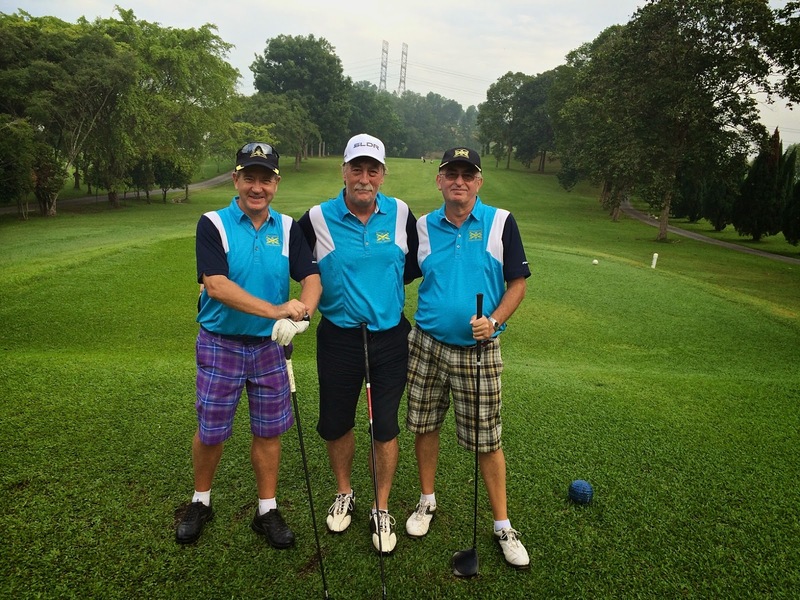 Second on count back and on 36 points was Geoff McLaws with a gross of 80 (best gross of the day) from Ted Parslow and Graham Cadman. 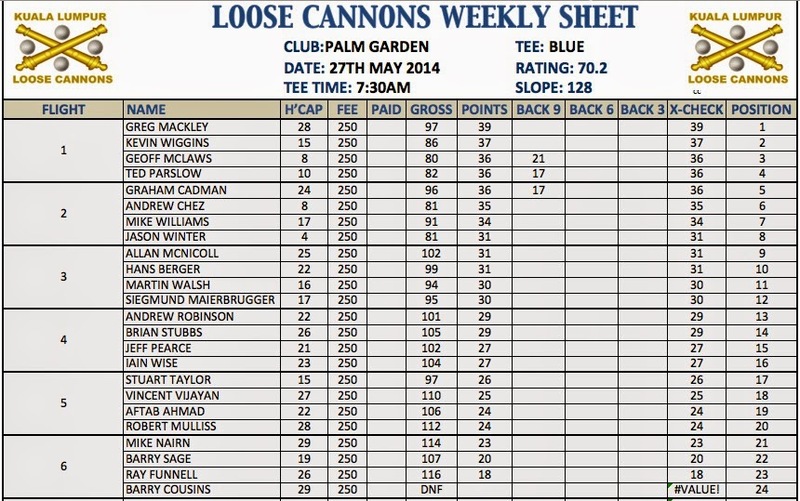 Next week’s game will the the Trophy Game for May and will be held at Palm Garden Golf Club on Tuesday 27th May. 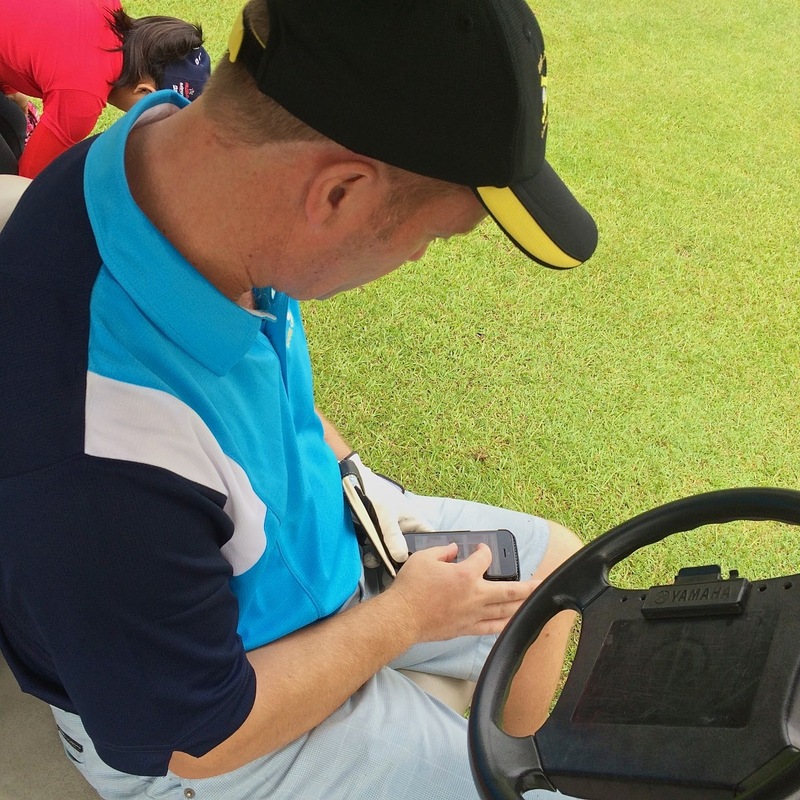 Please reply by return e-mail if you are going to play. 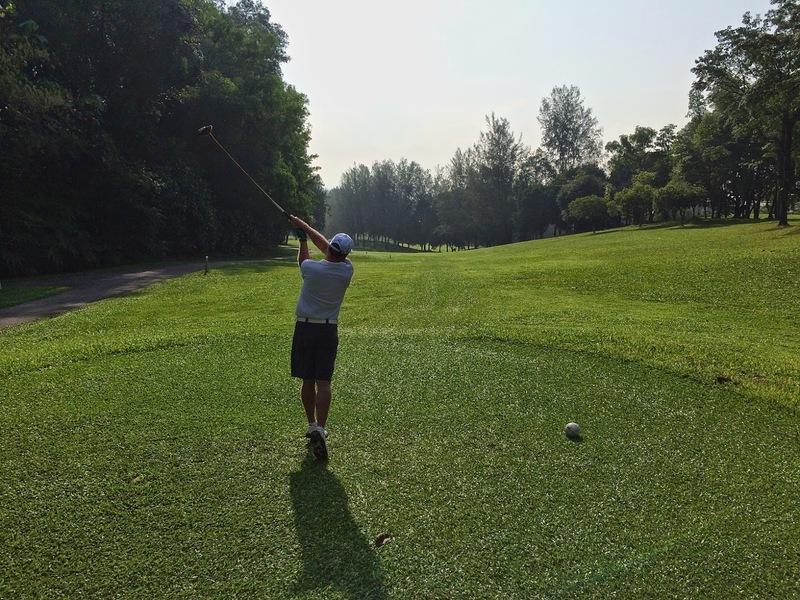 Tee off will be at 7:30am so please be at the club by 7:00am latest. 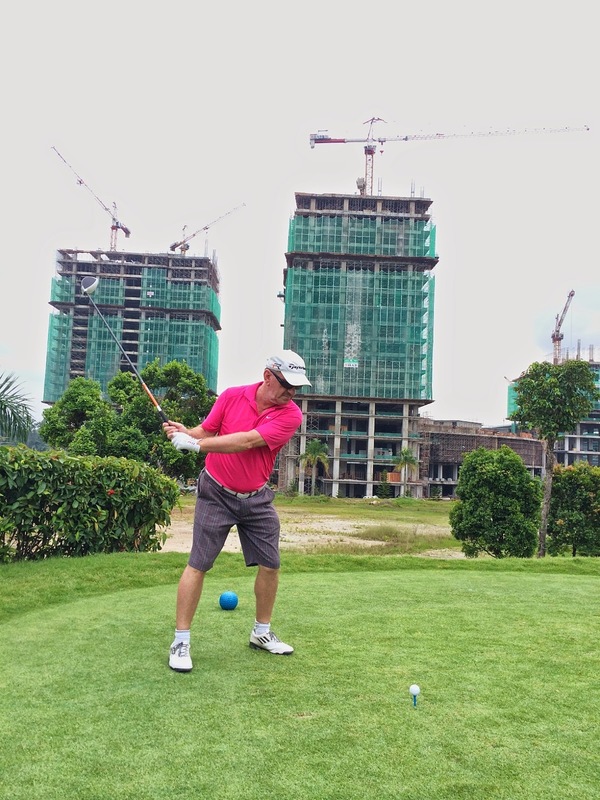 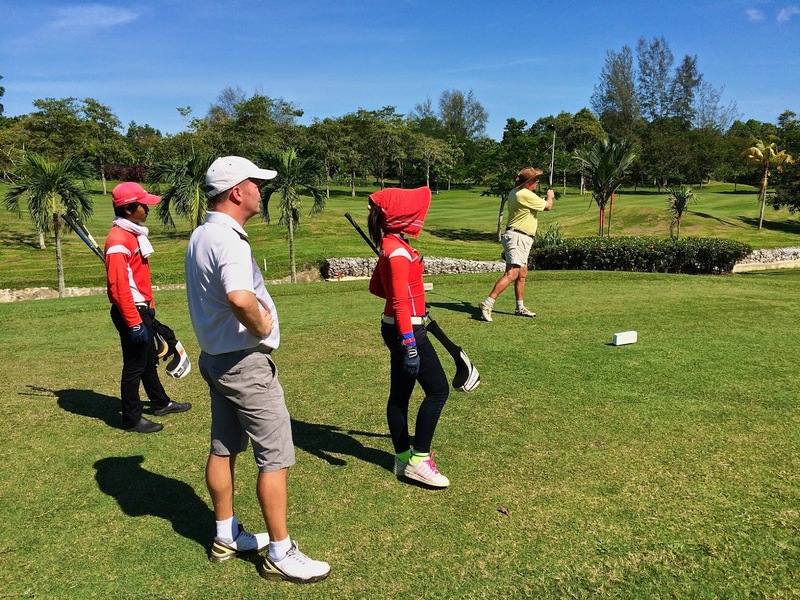 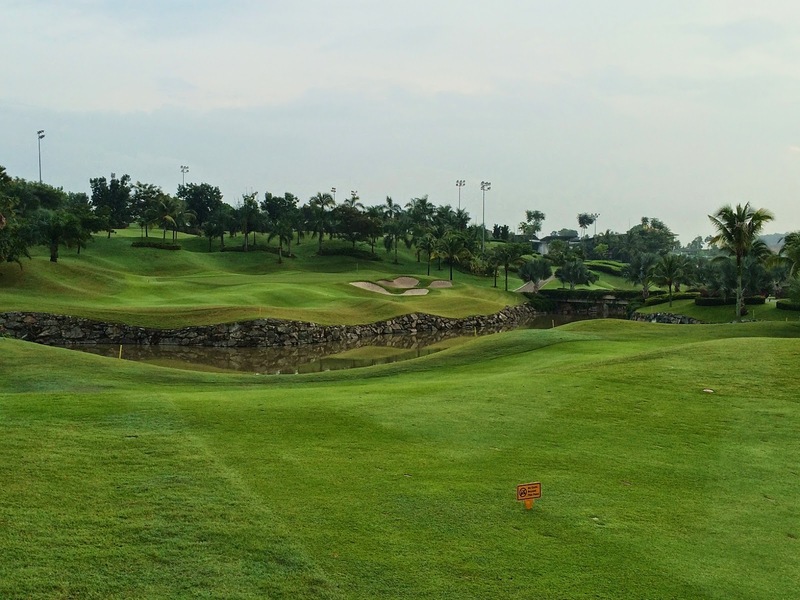 We have been offered a special rate of RM250 per pax inclusive of green fees/buggy/insurance/caddy/tax. 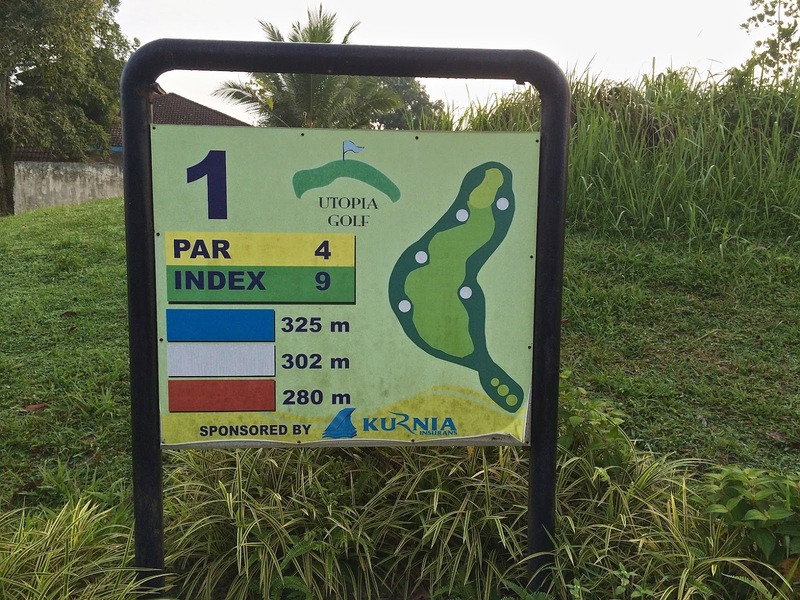 There have been no uplift on the cost so there will be no carryover for any lunch costs on this occasion. 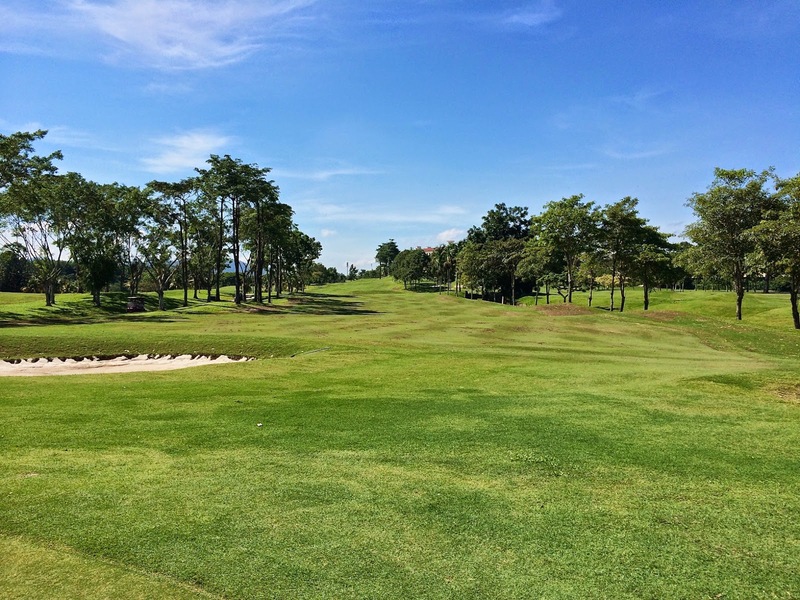 This should be an excellent day’s golf as this is one of the best courses in the area. 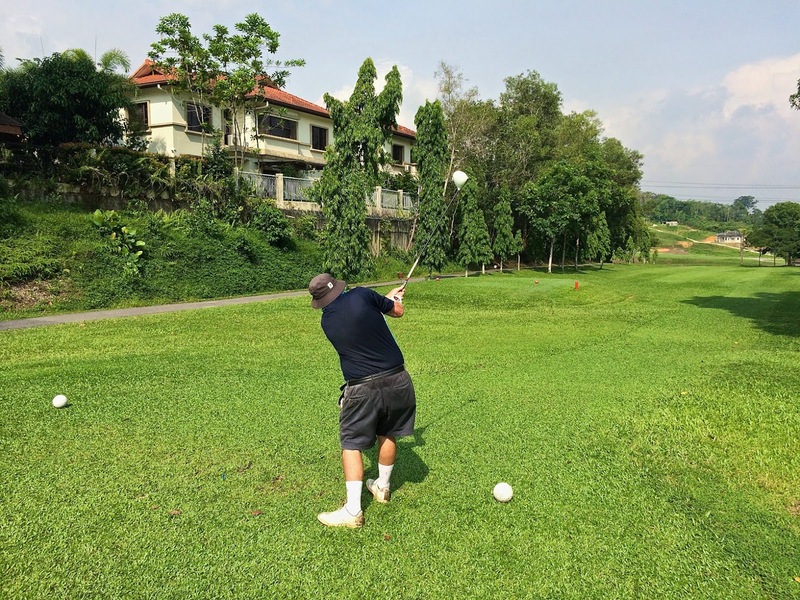 Lunch will be taken at the clubhouse following the game ….. the fish and chips I recall are excellent. 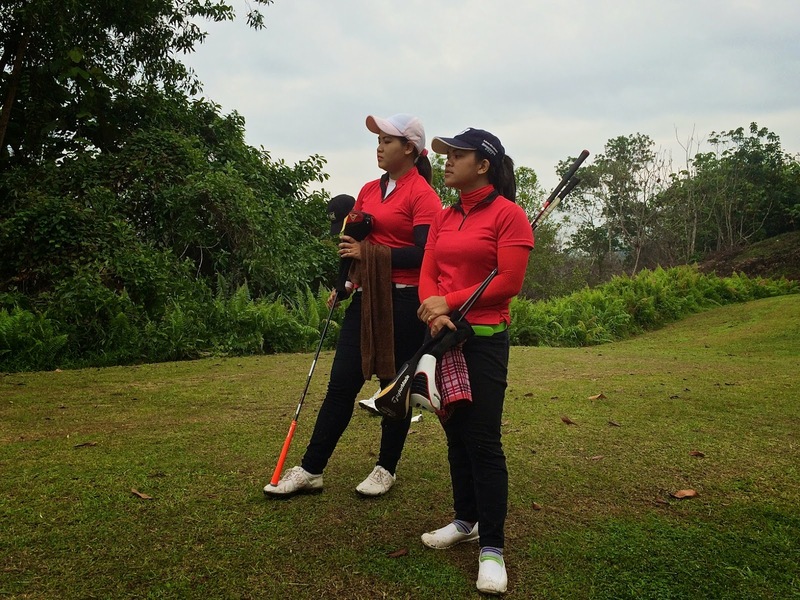 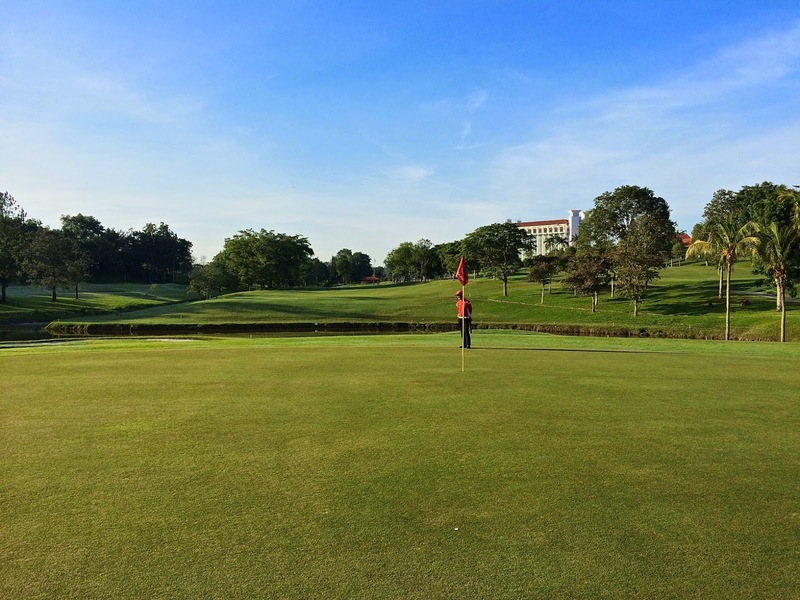 We will be playing at Lembah Beringin Golf Club next Tuesday on 20th May. 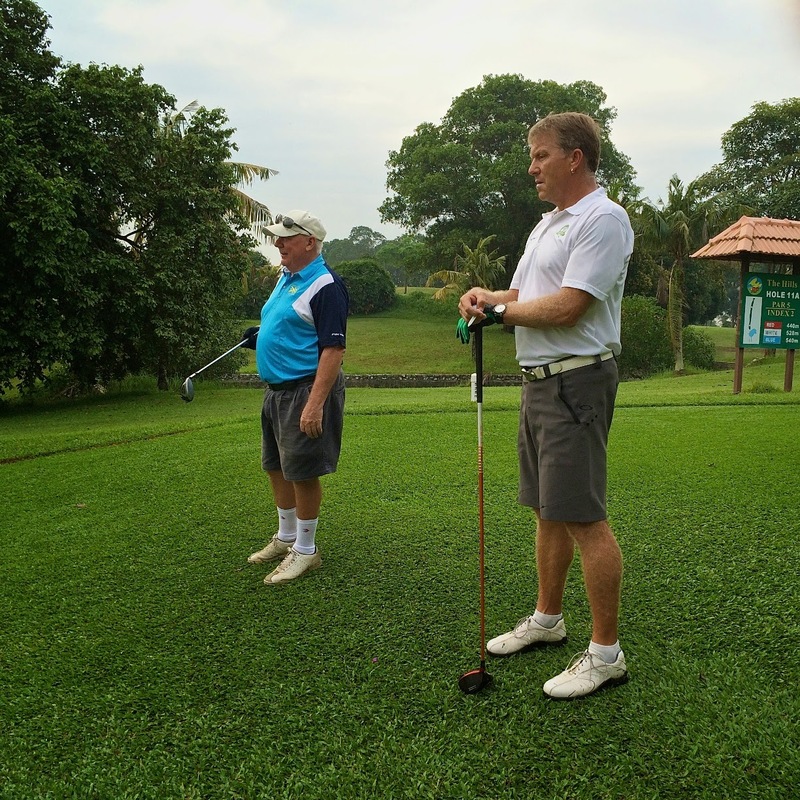 Hans Berger and Andre Holm visited this club fairly recently and gave some good reports so a good chance to try a new course to many OF US and see some new parts of the country. 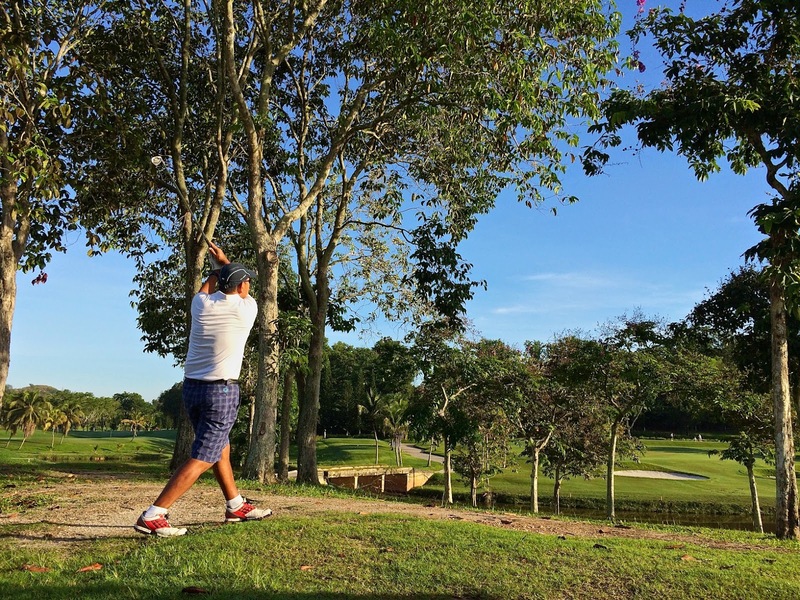 Please e-mail back if you are playing and confirm if you will be joining for lunch after the game which will be at the usual restaurant on the outskirts of Rawang (the one we usually use when we play Tasik Puteri). 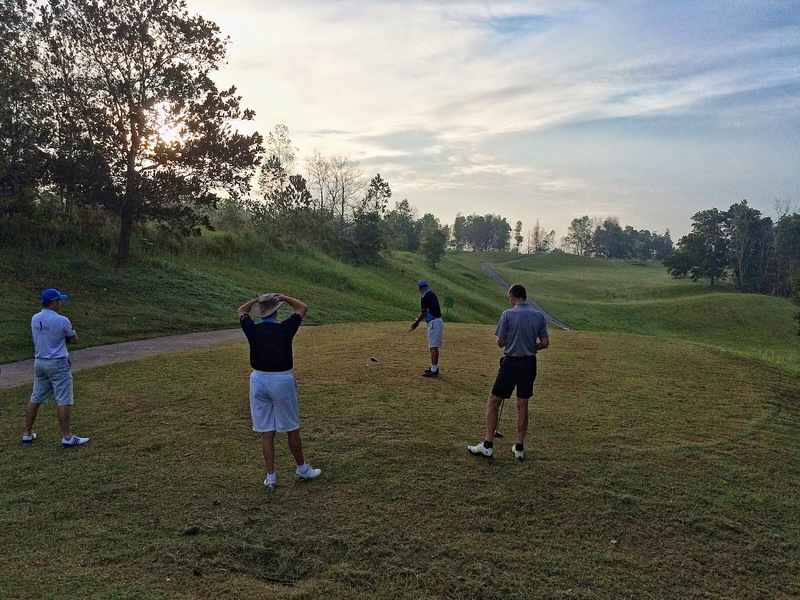 Tee off will be at 8:00am so please be at the club by 7:30am latest for registration. 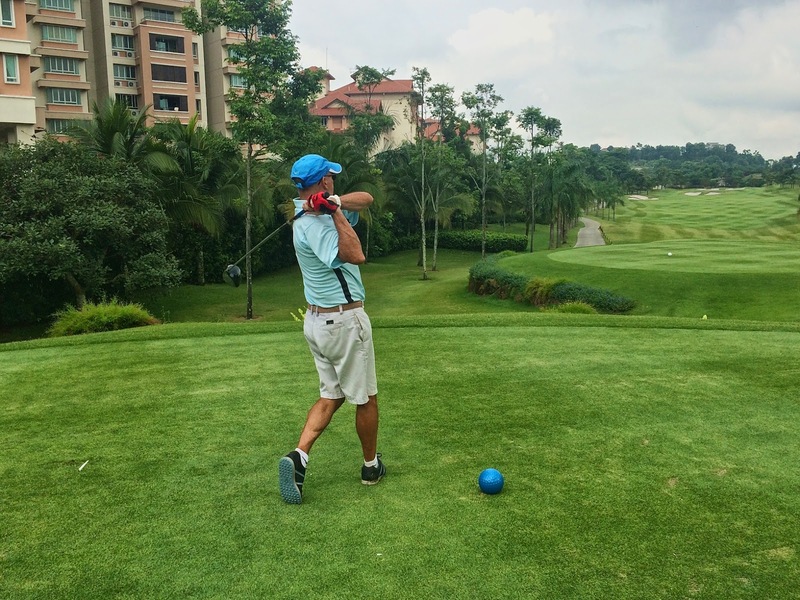 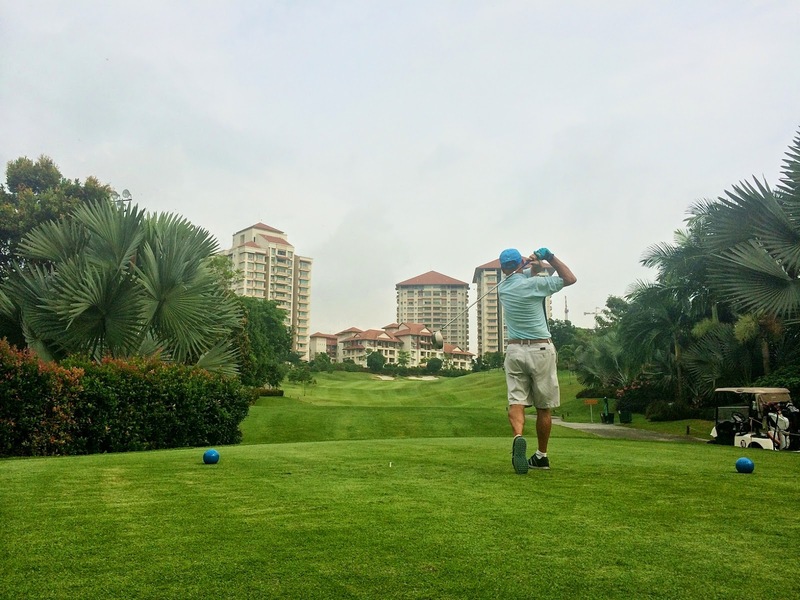 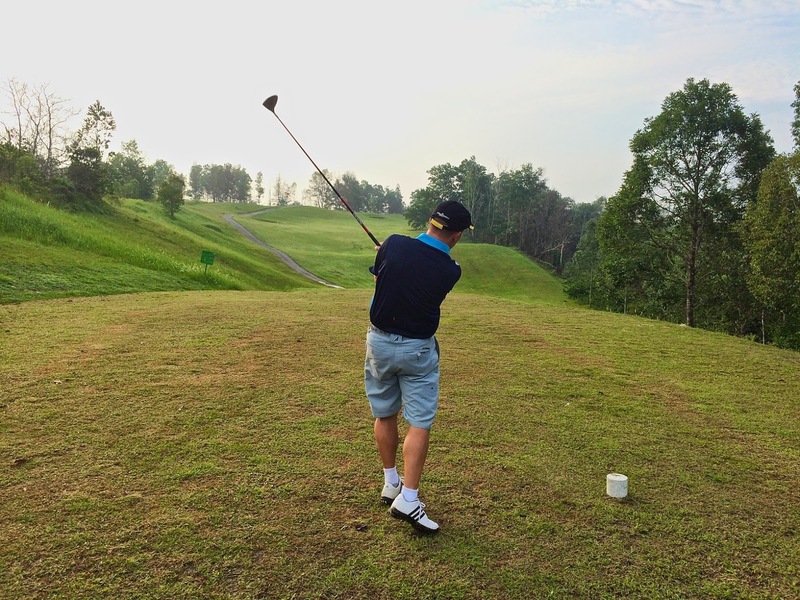 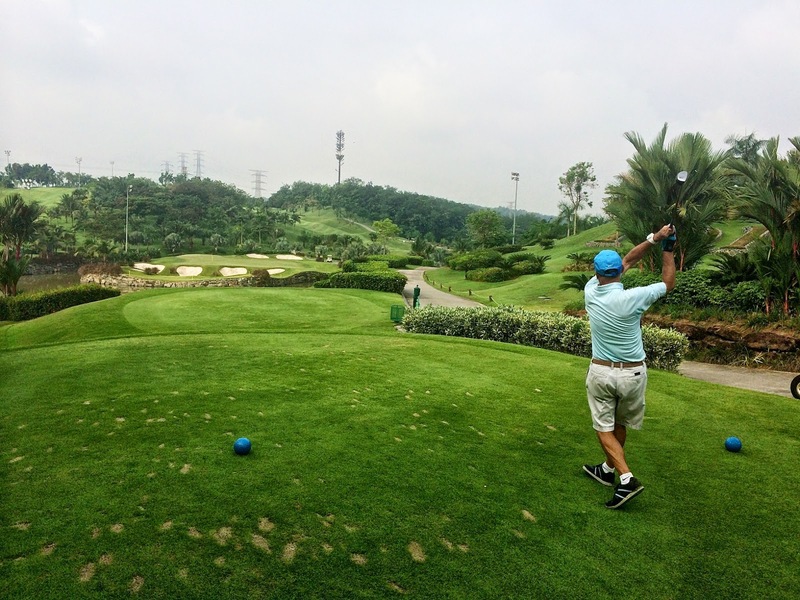 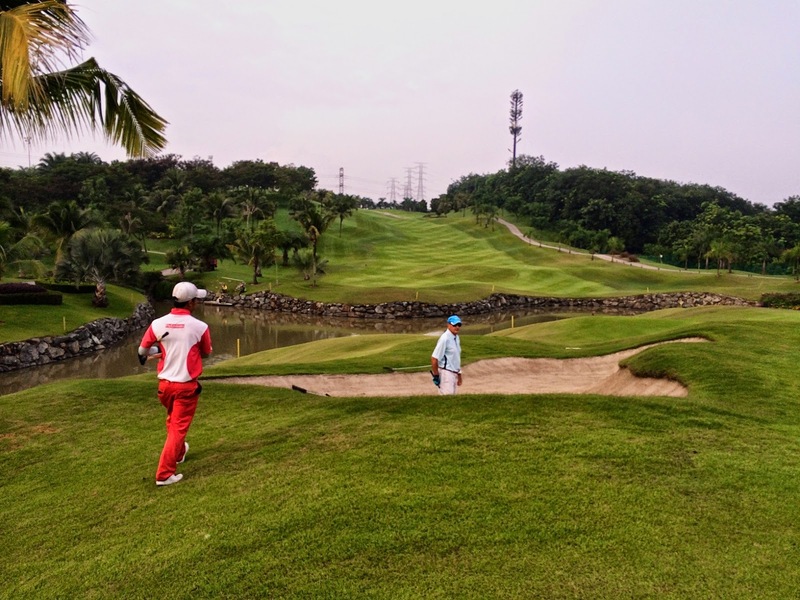 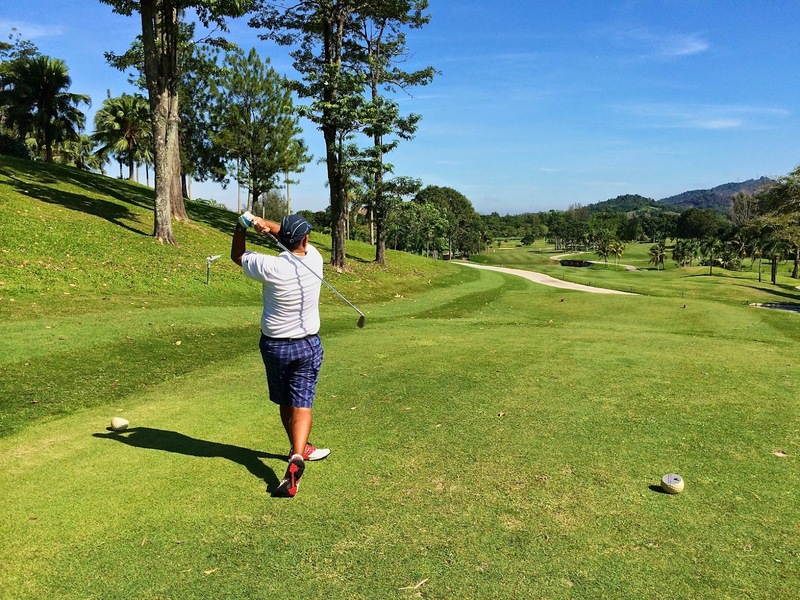 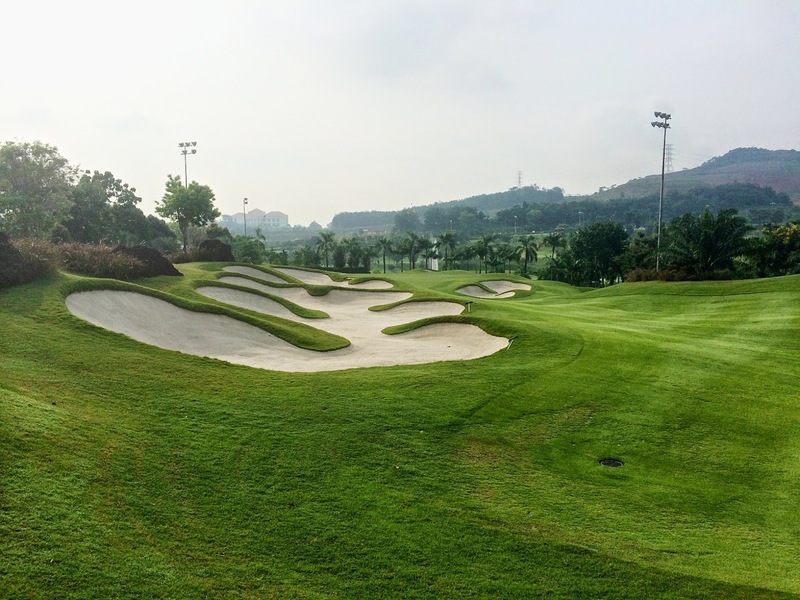 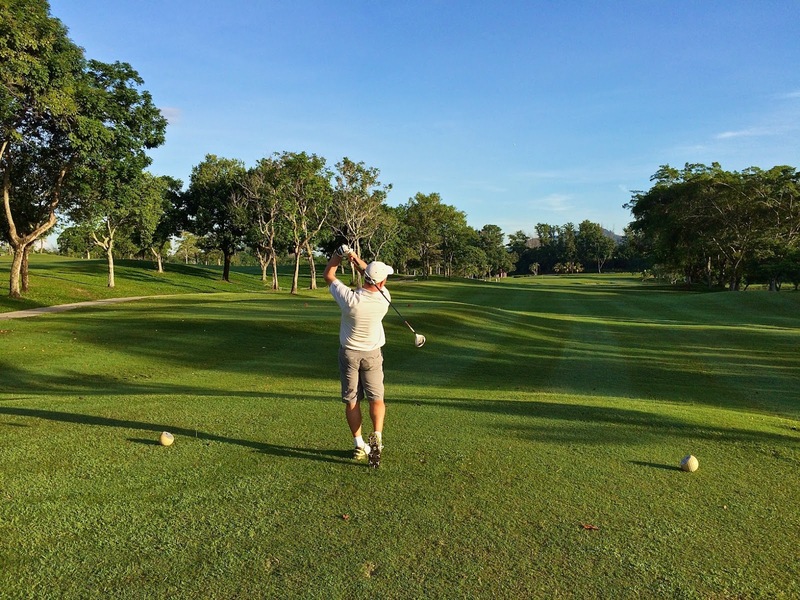 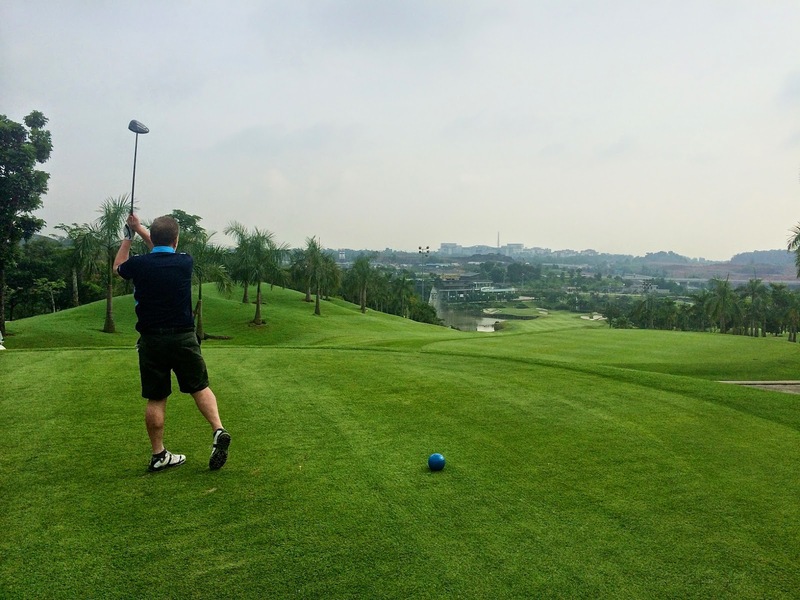 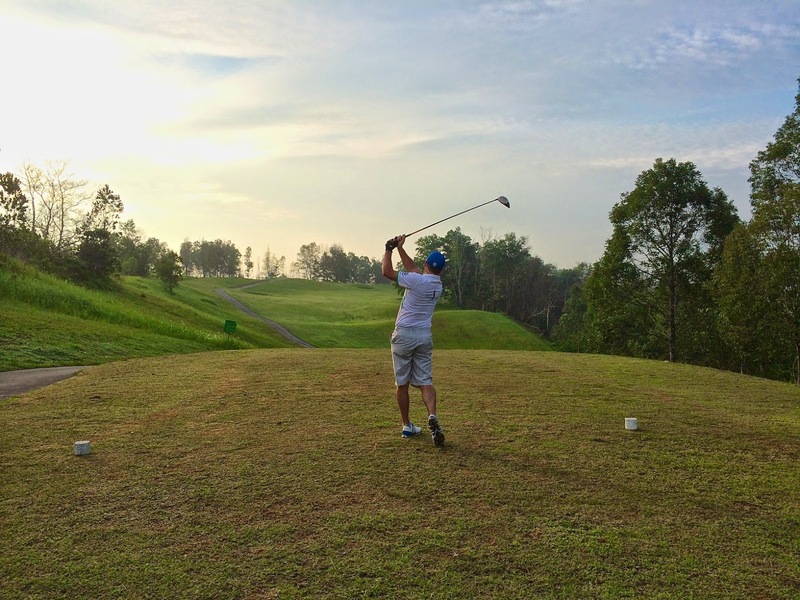 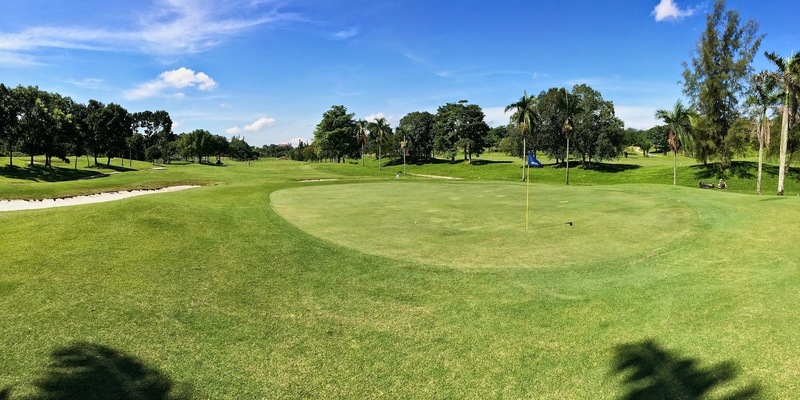 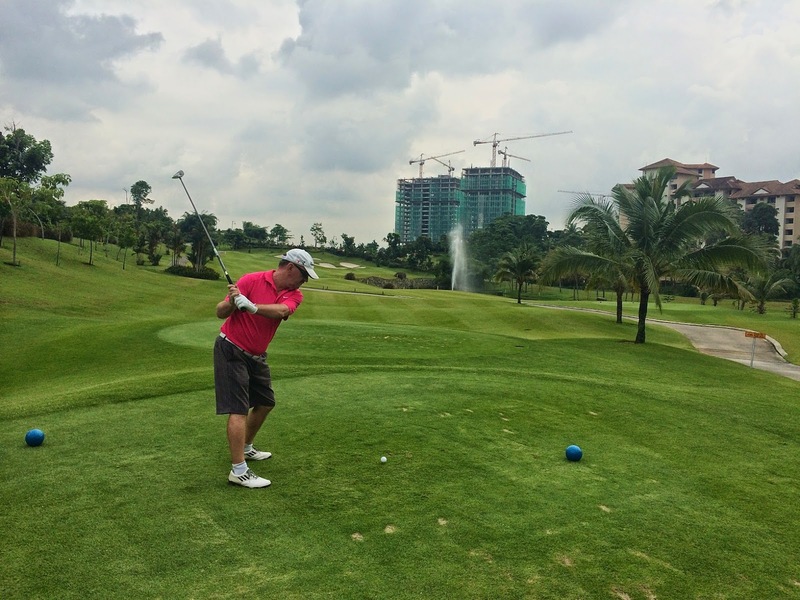 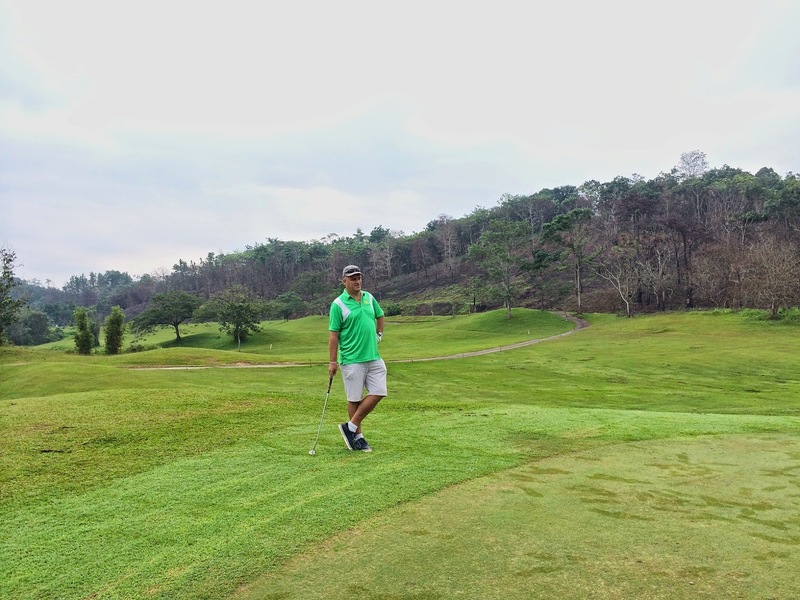 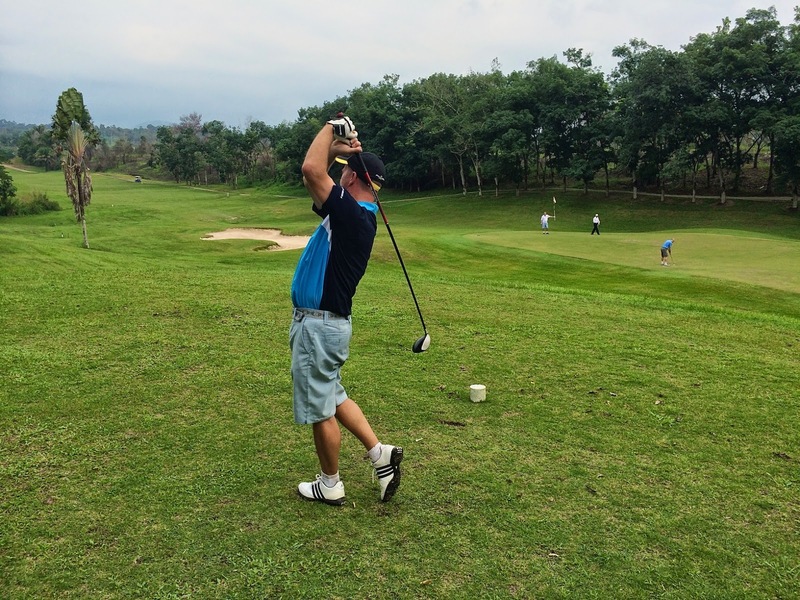 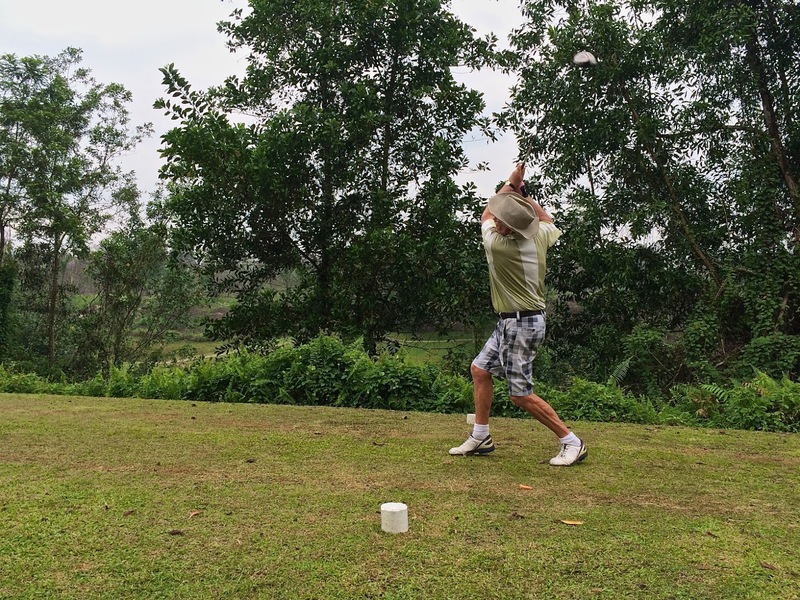 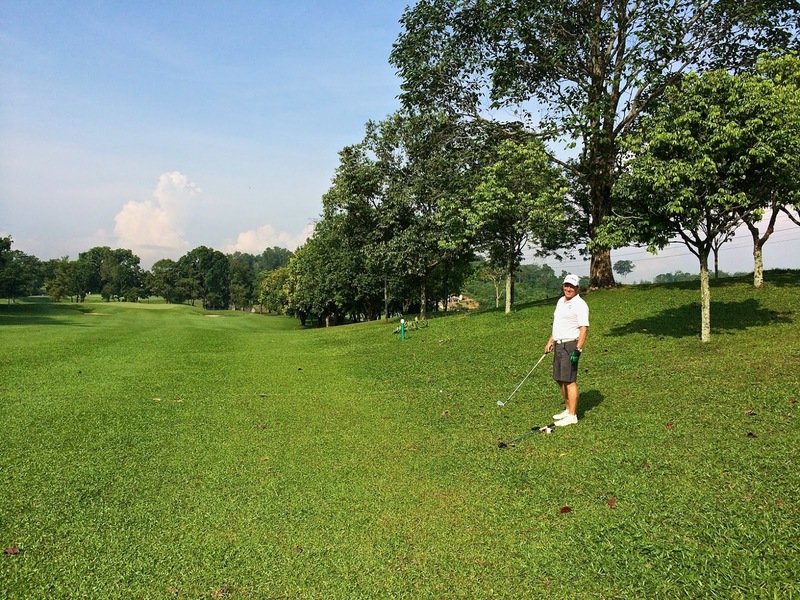 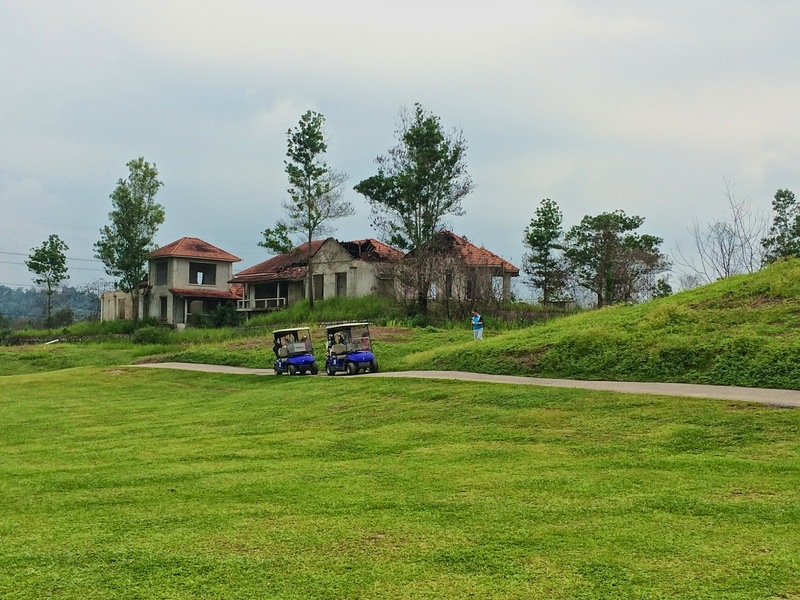 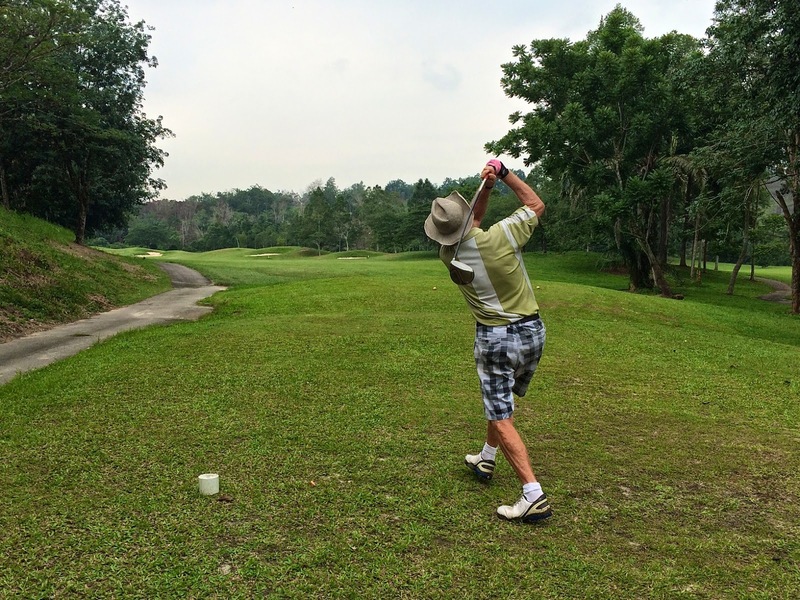 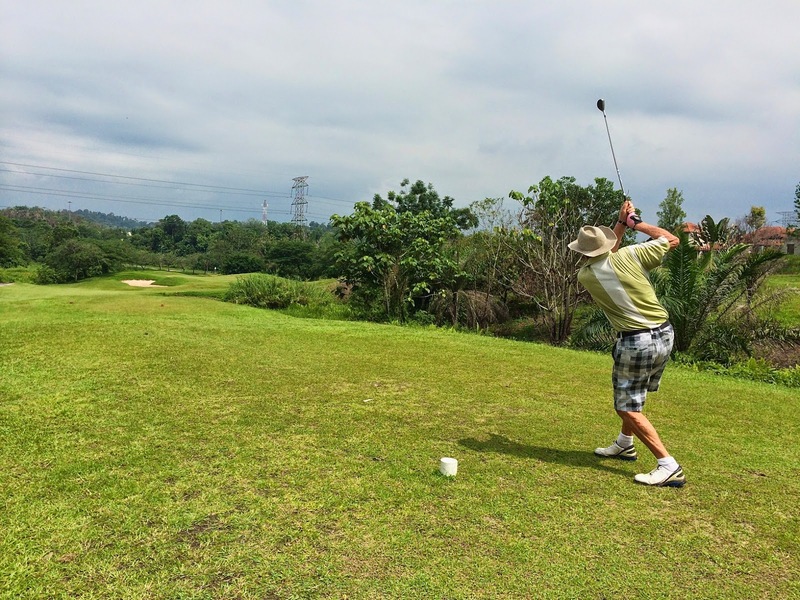 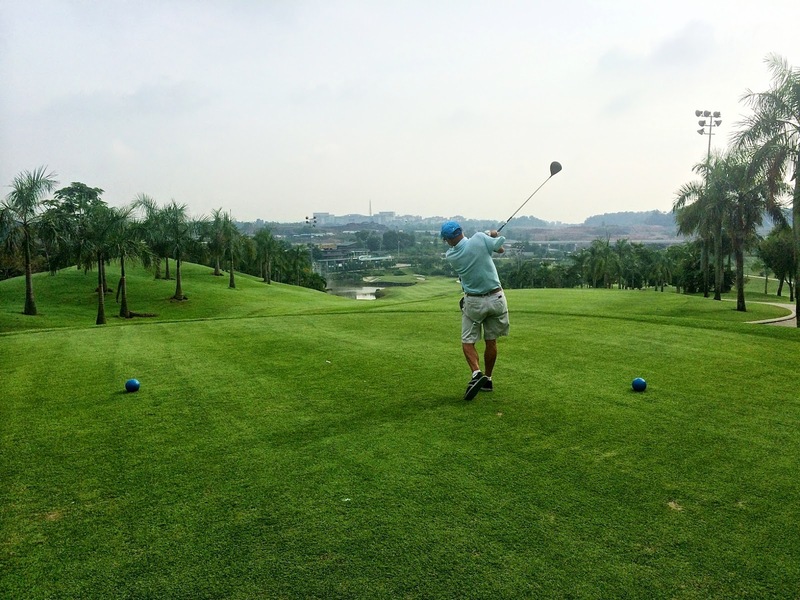 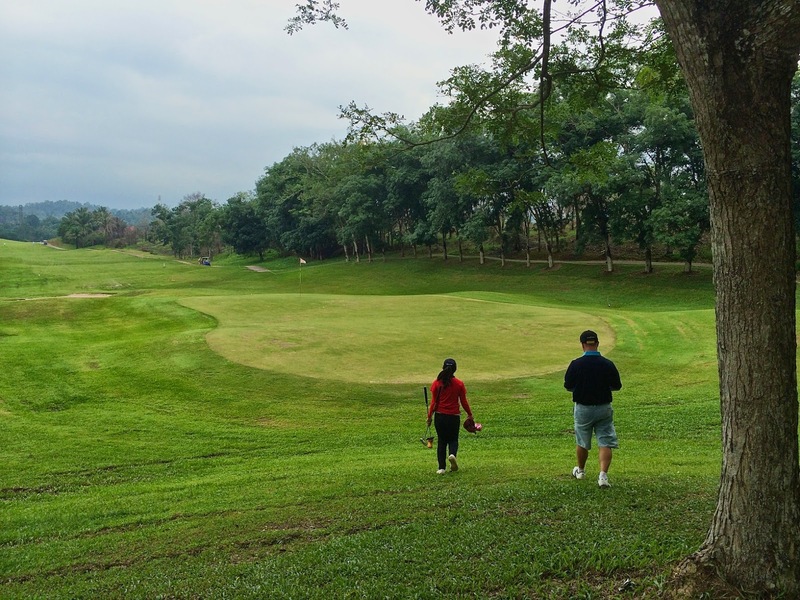 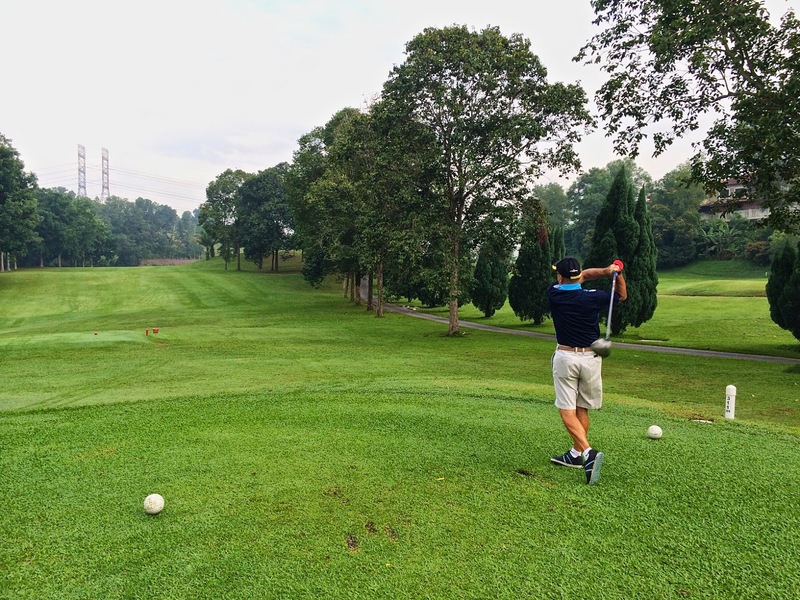 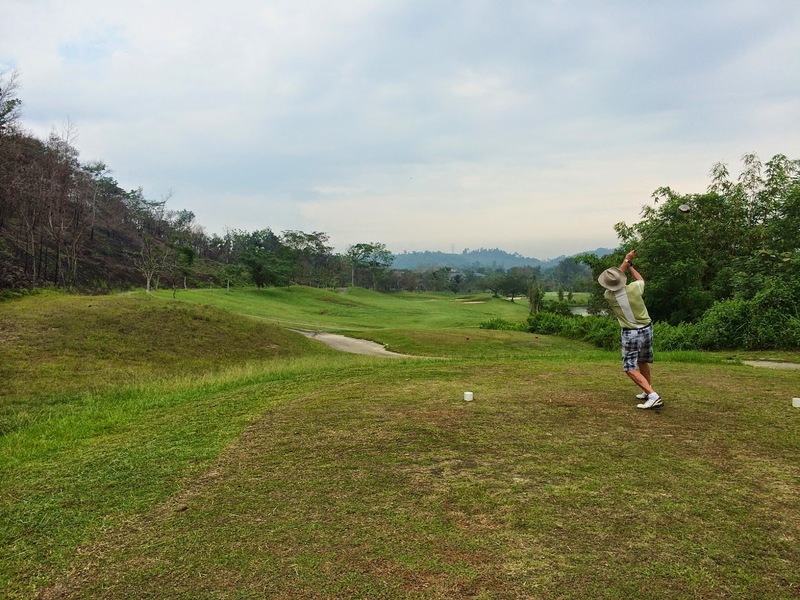 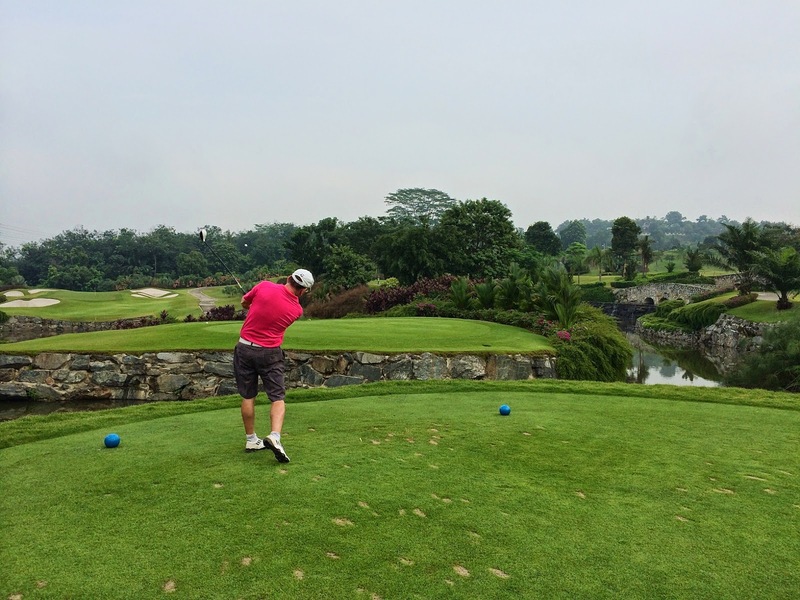 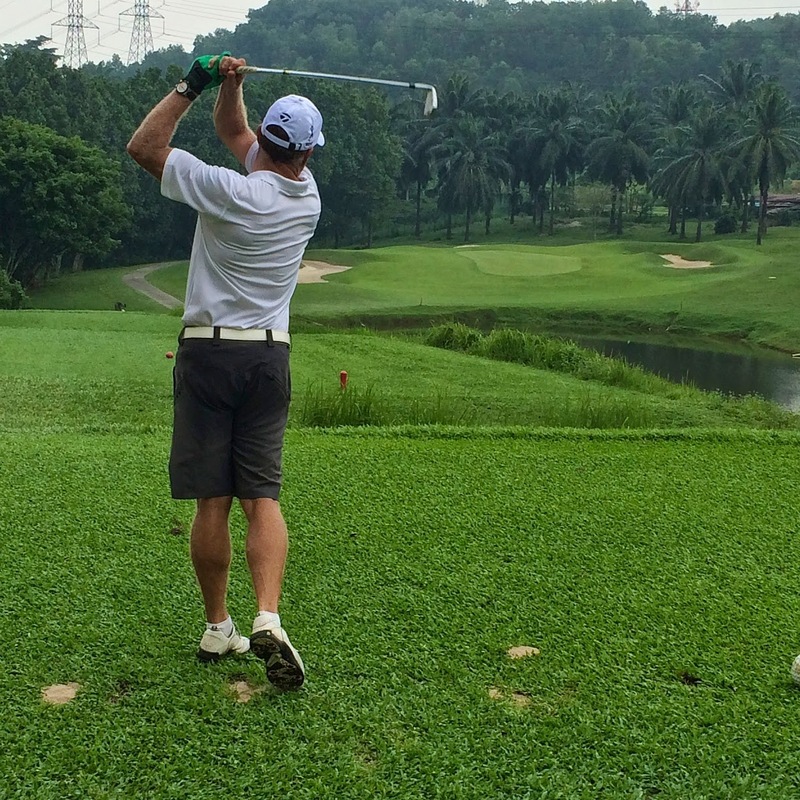 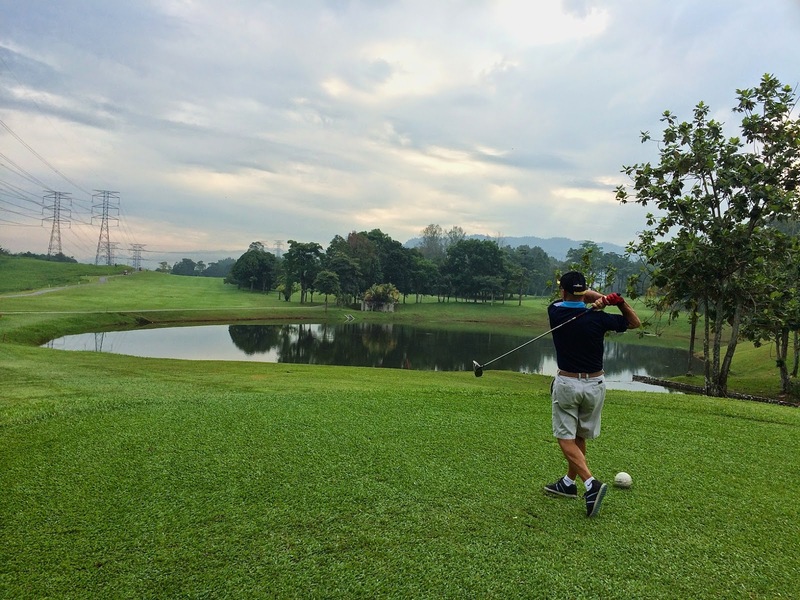 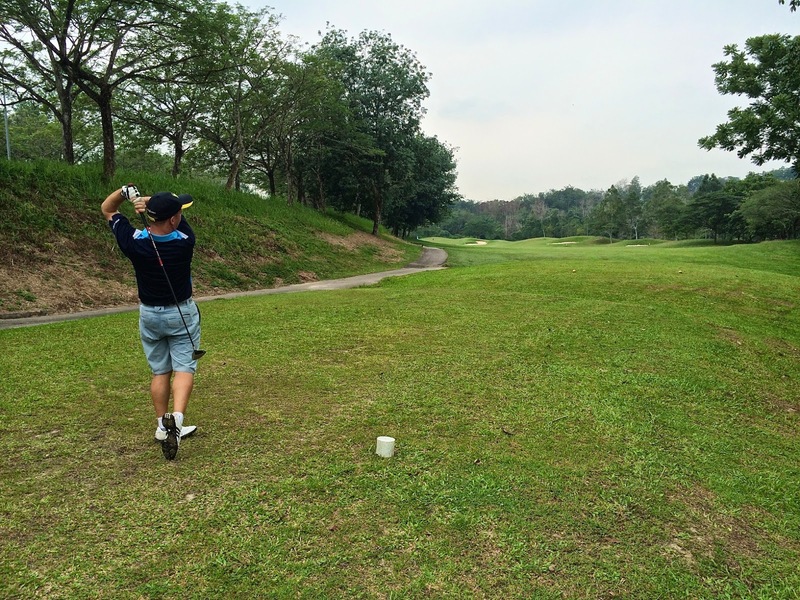 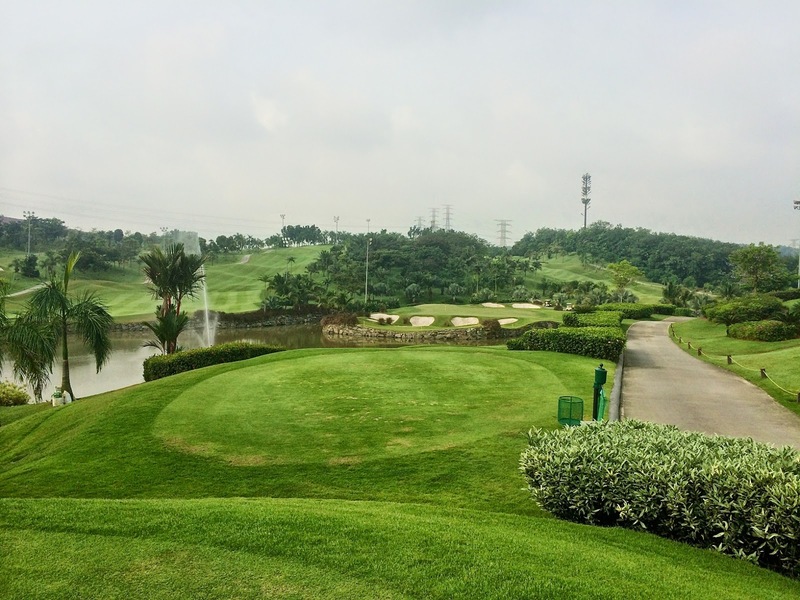 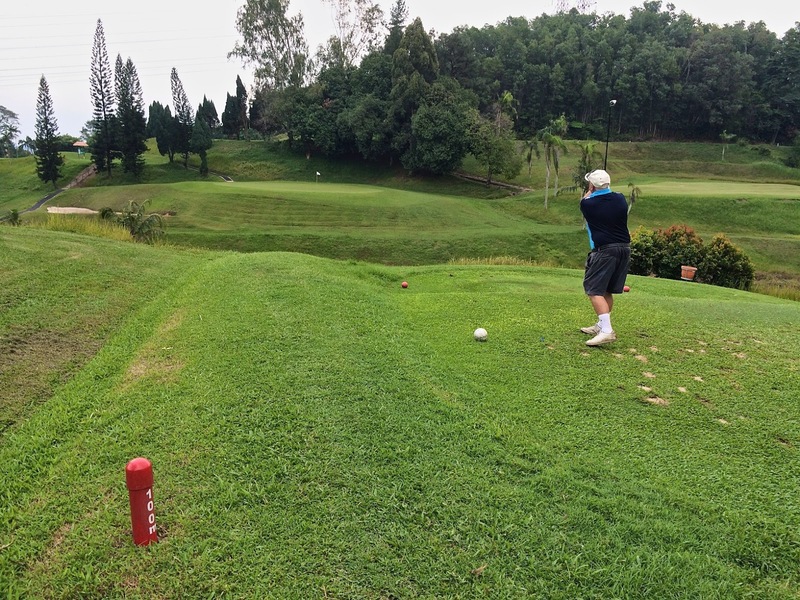 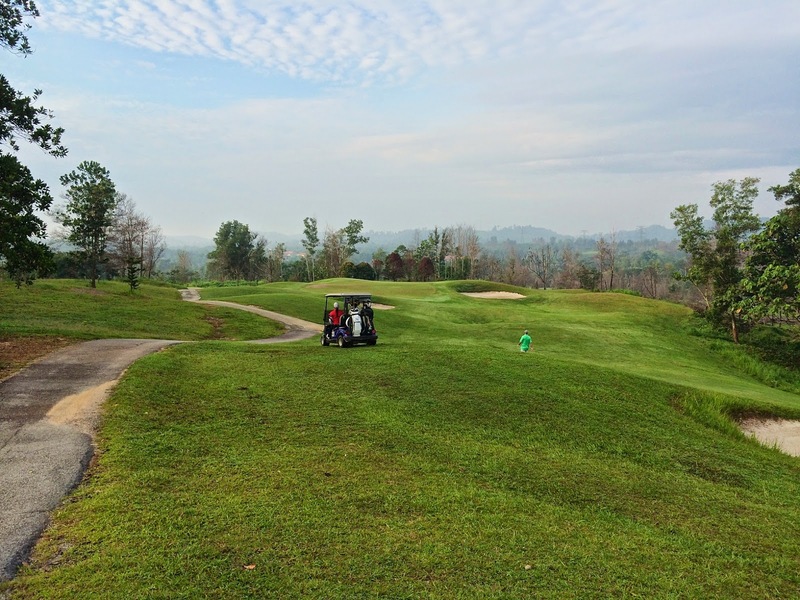 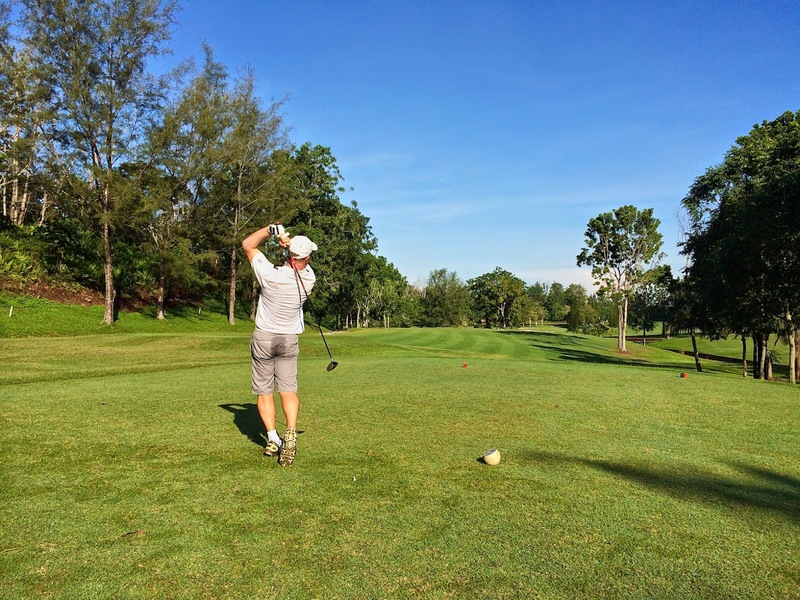 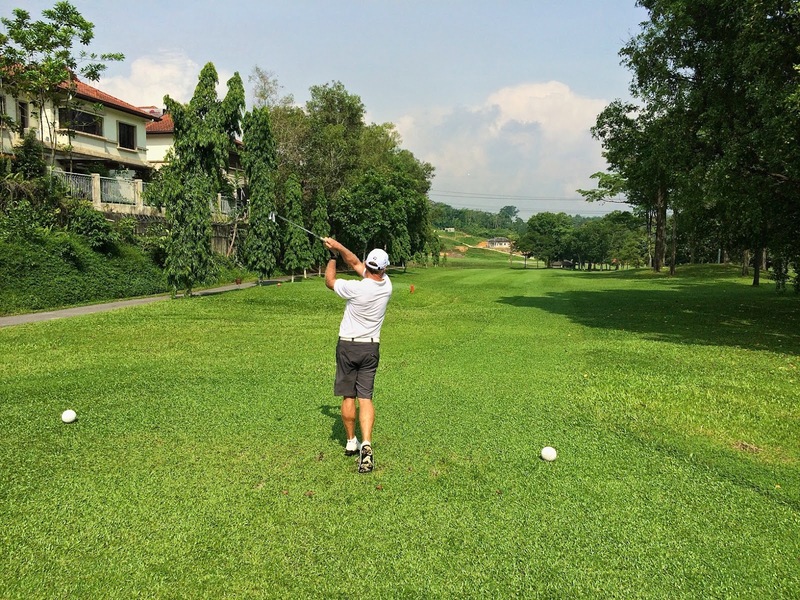 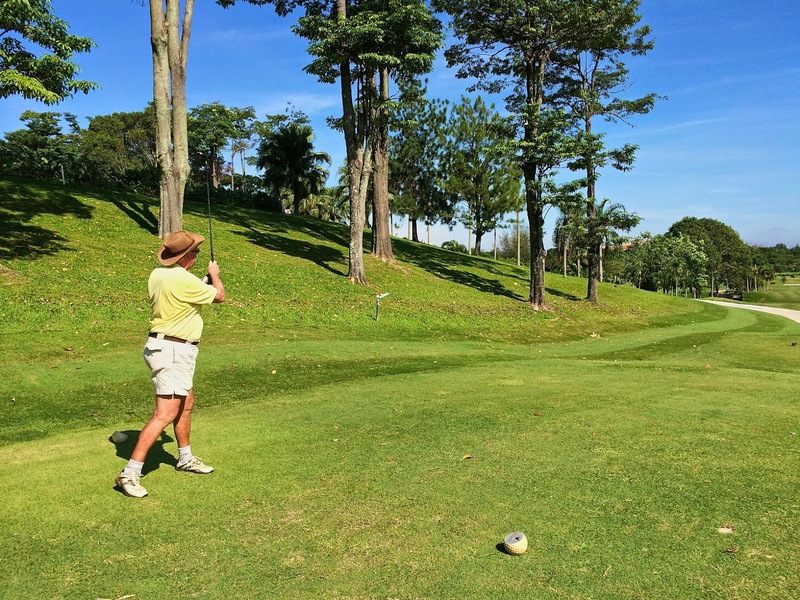 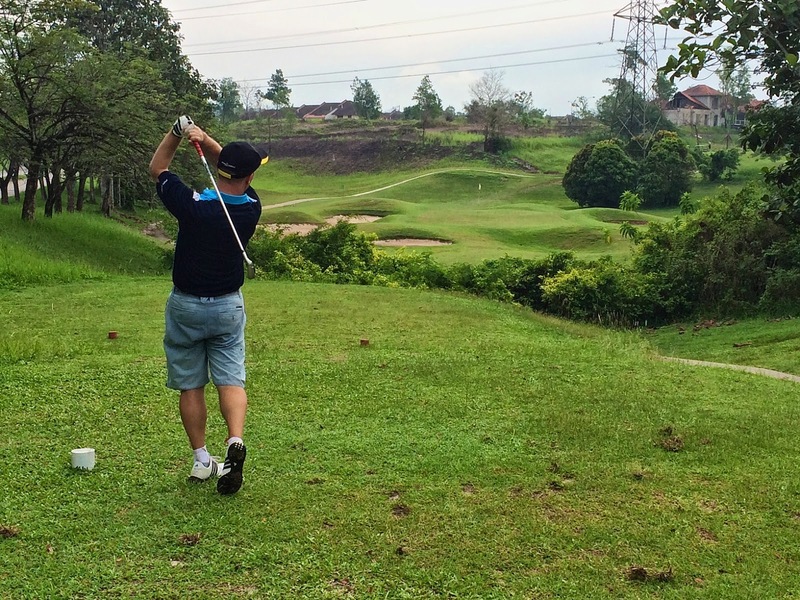 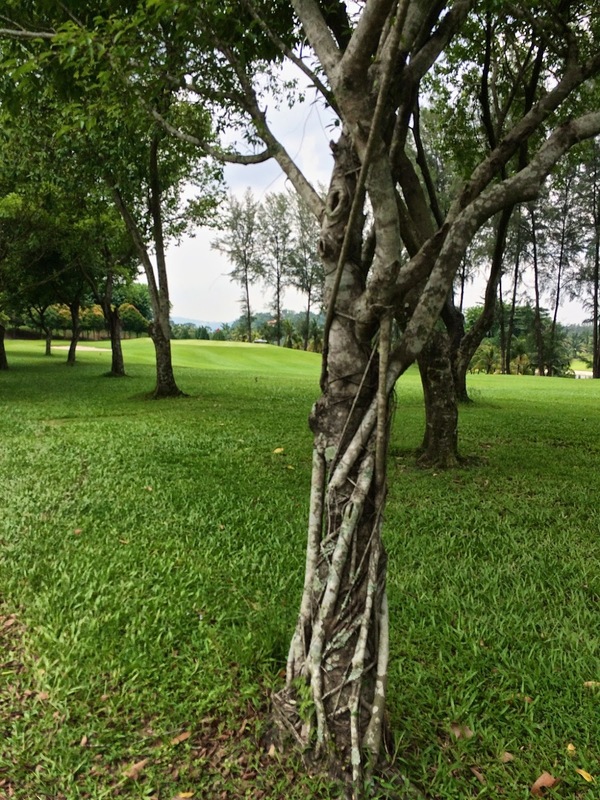 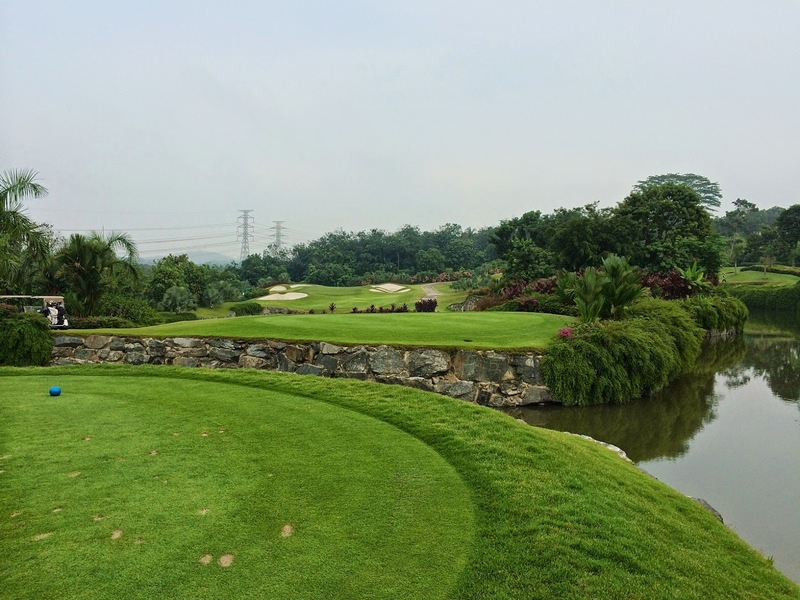 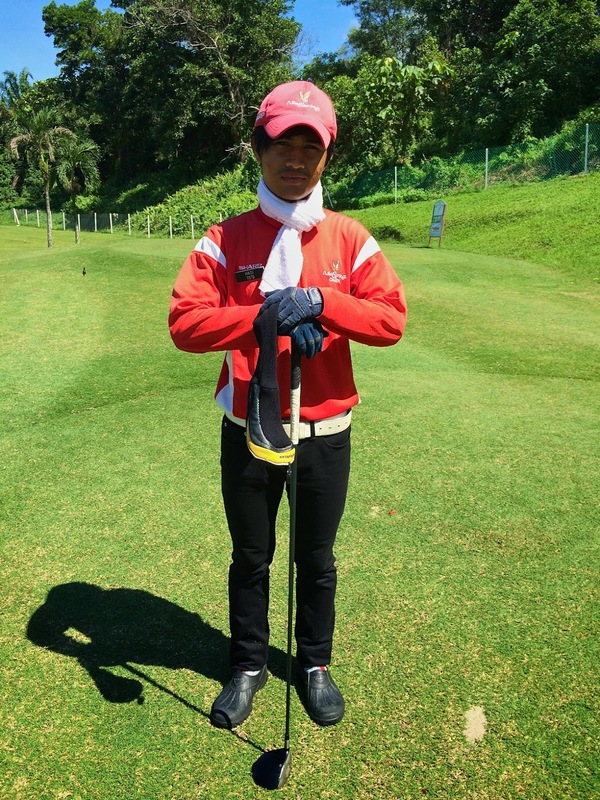 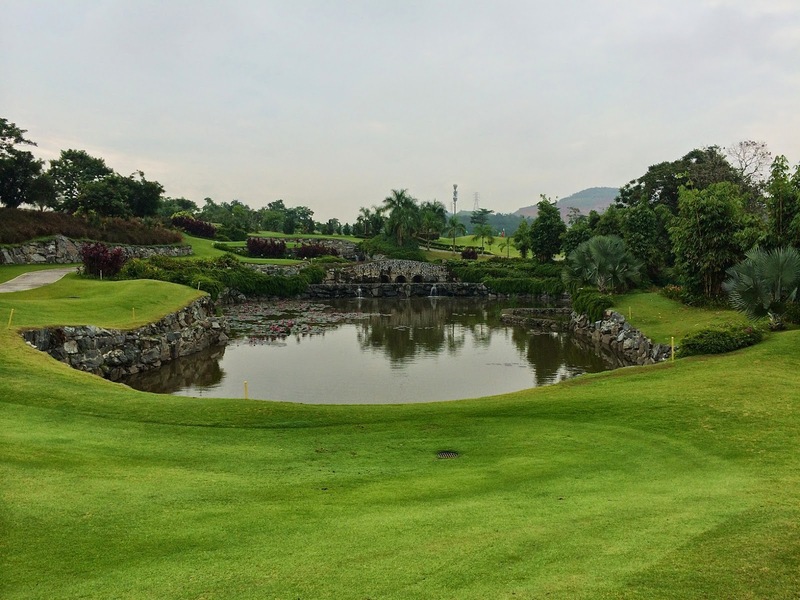 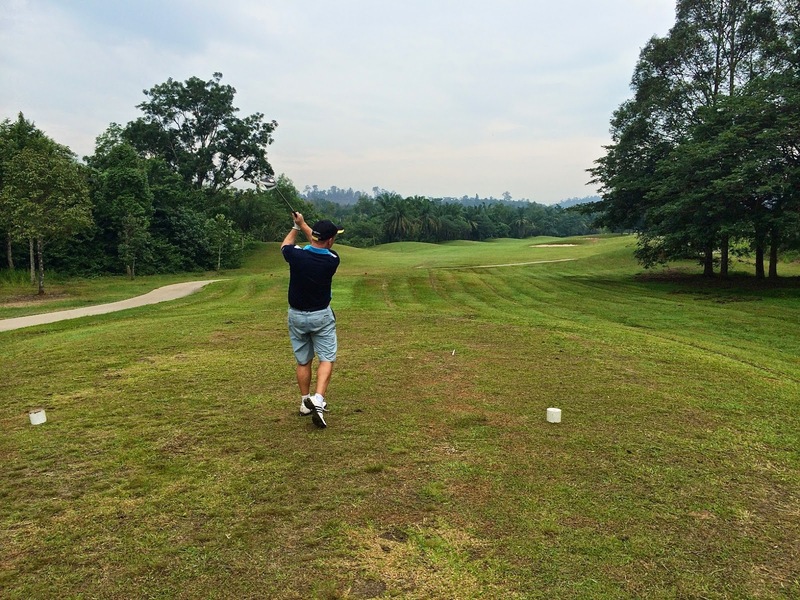 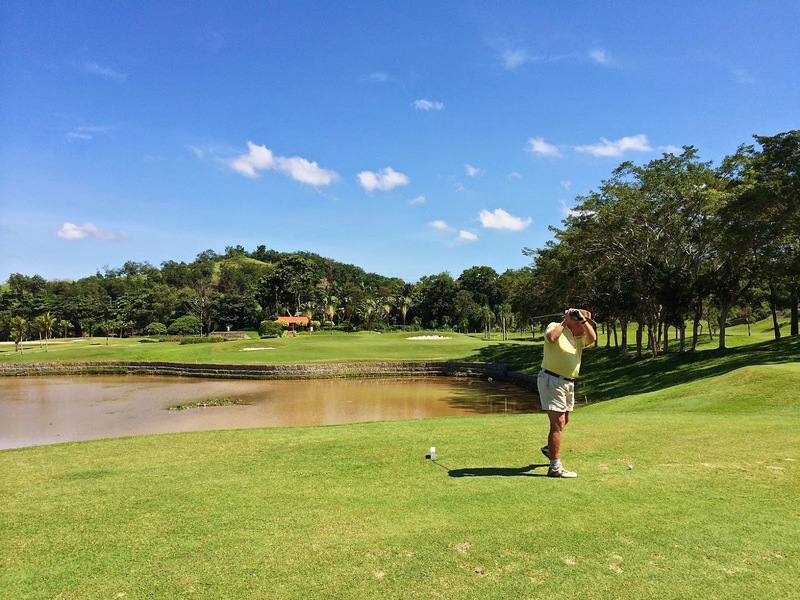 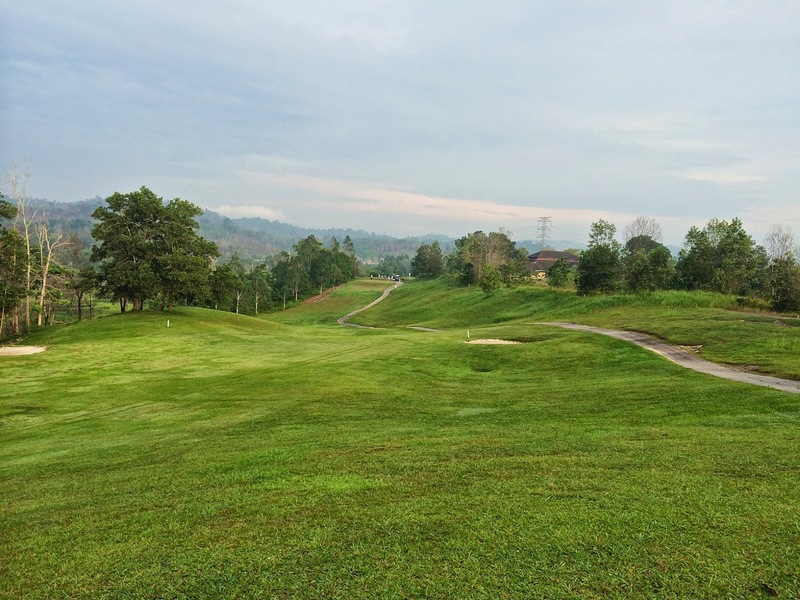 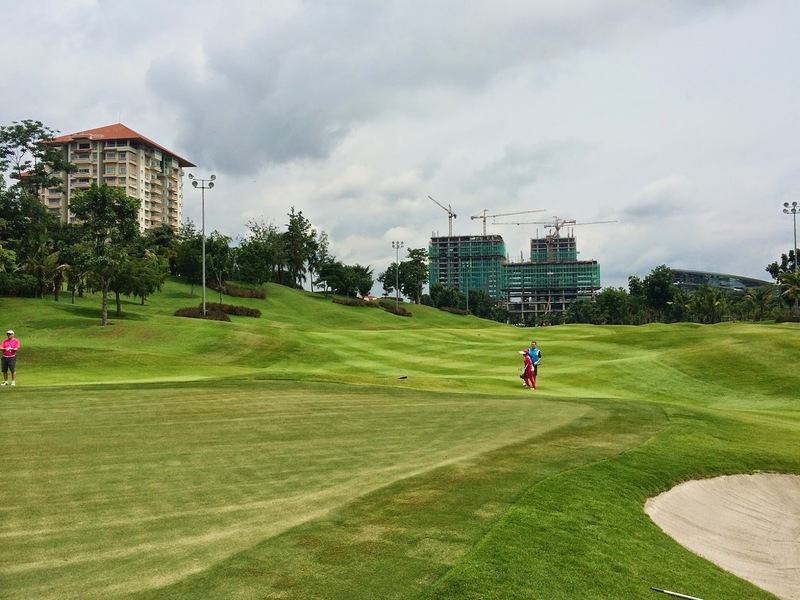 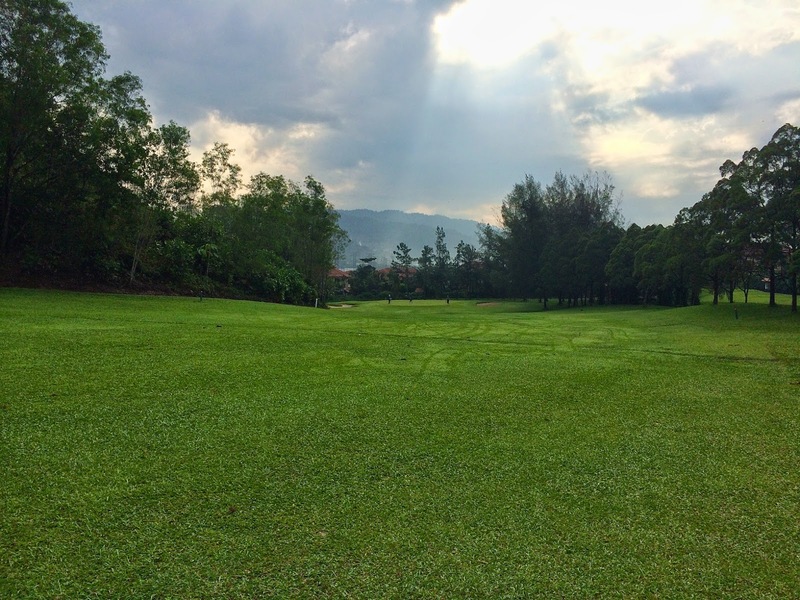 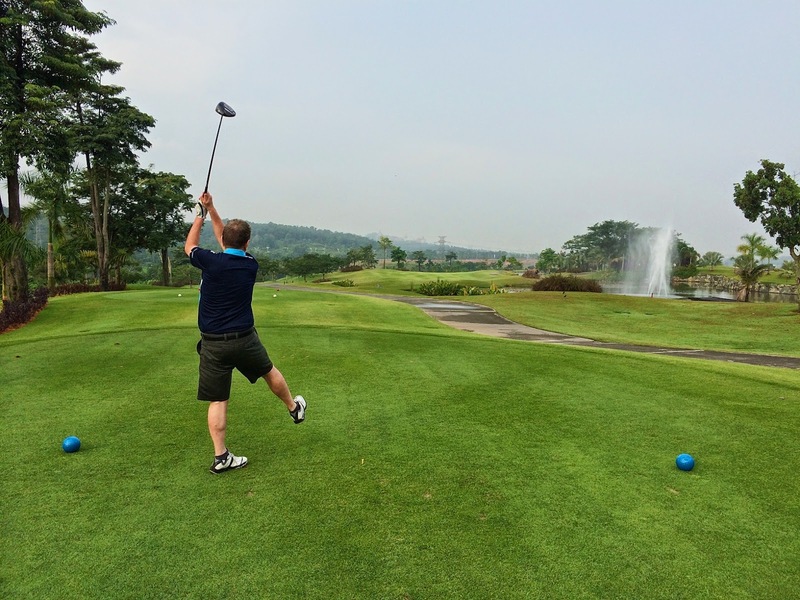 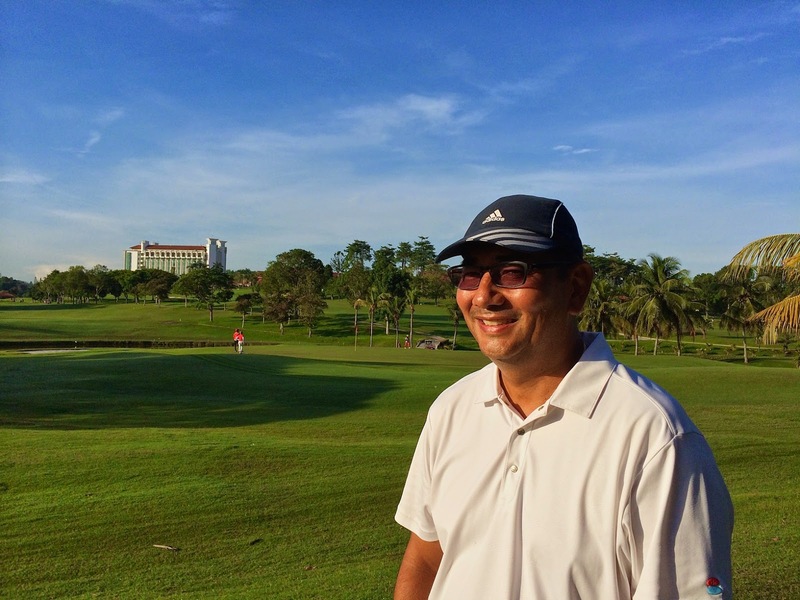 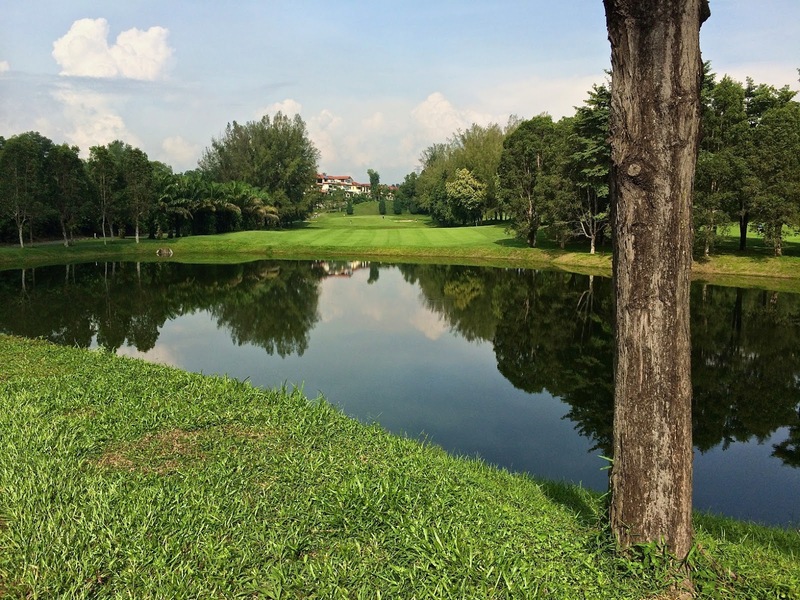 It’s an easy drive of approx 45 mins to Lembah Beringin Golf Club – just straight up the N-S highway, past Rawang, past Bukit Beruntung and turn off approx 60km mark measured from Bangsar. 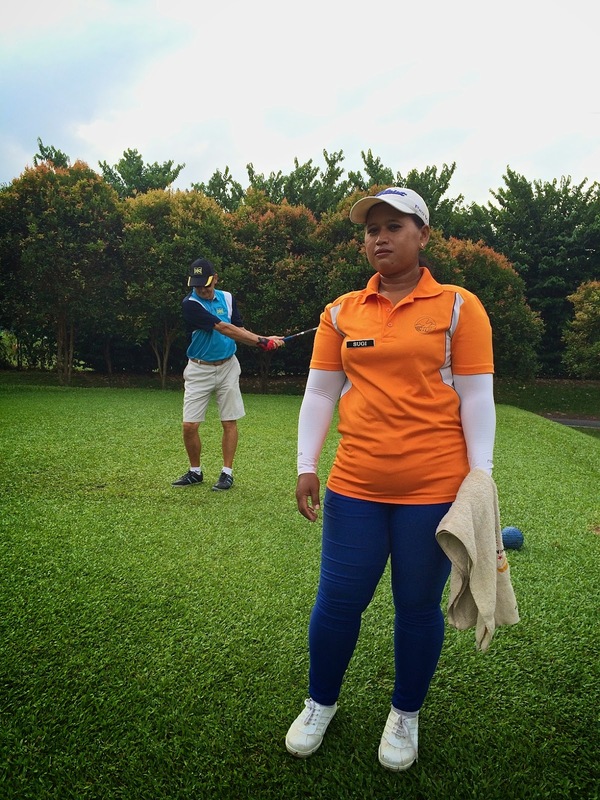 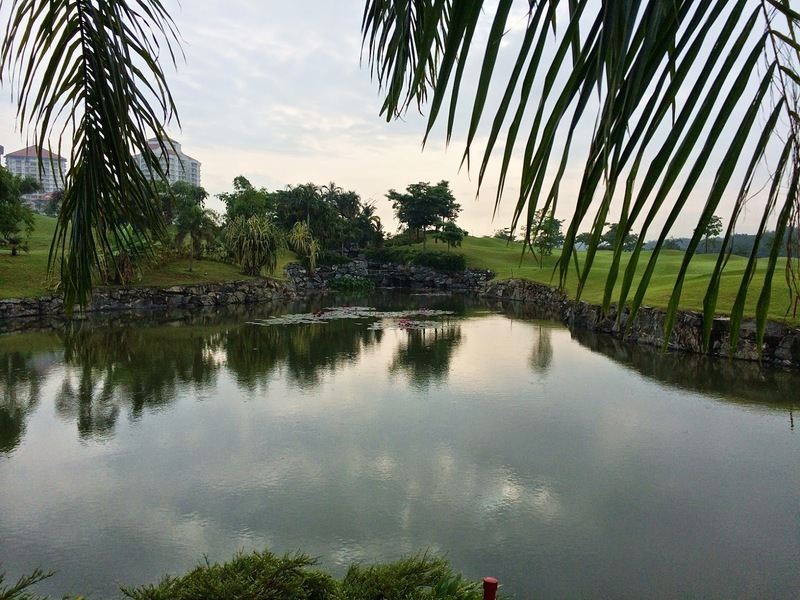 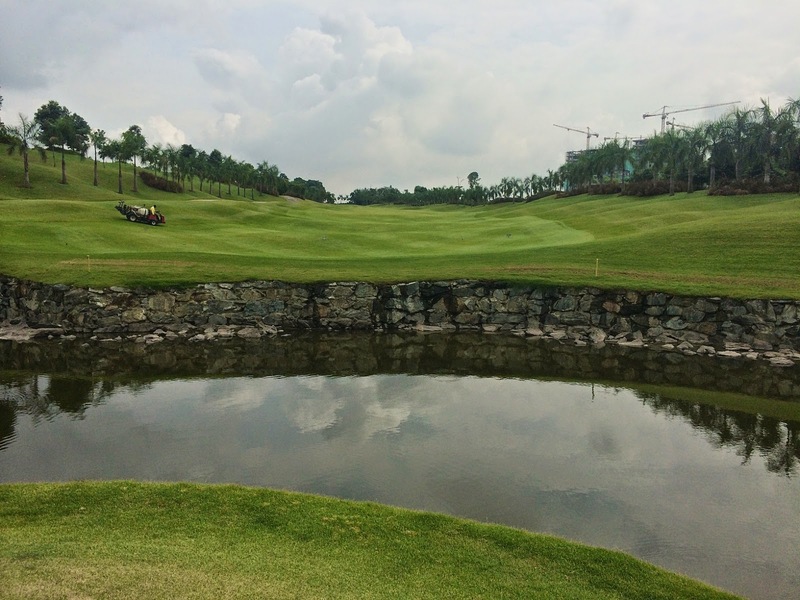 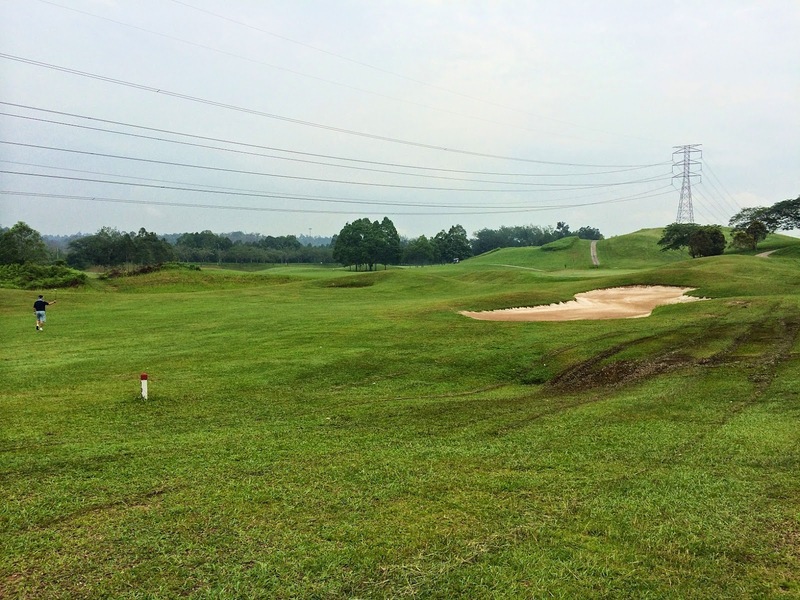 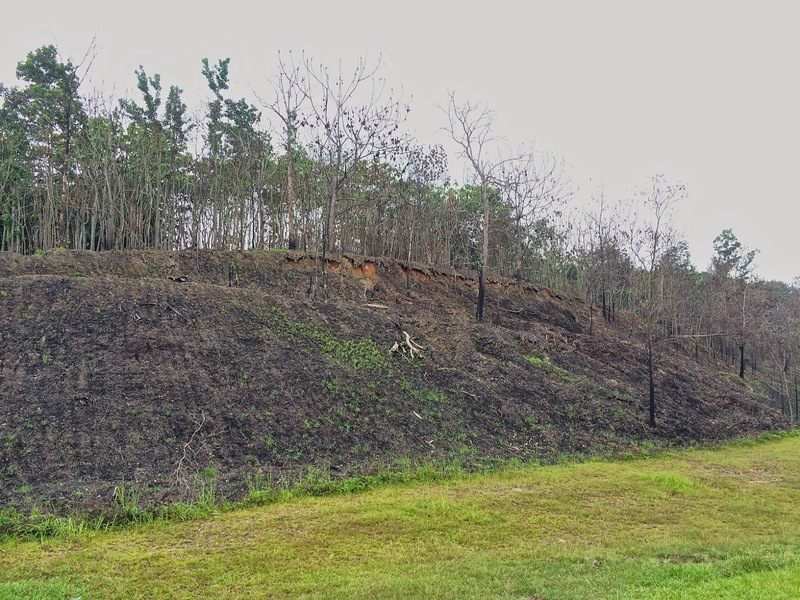 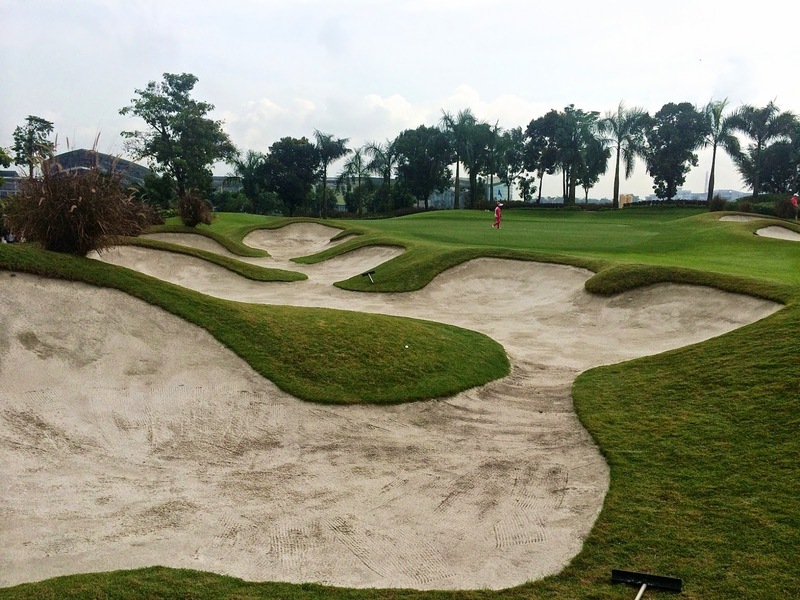 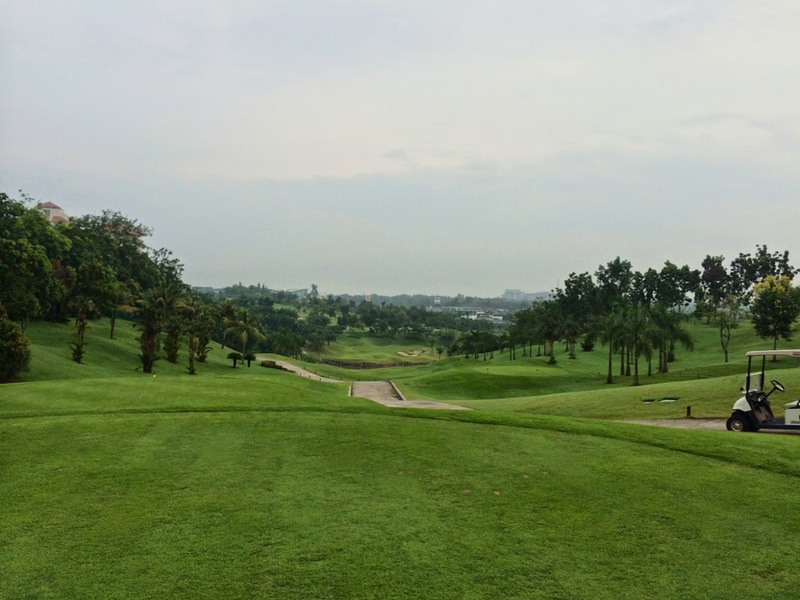 The course is right next to the highway – after leaving highway take road first left which is Jalan Lembah Beringin 1. 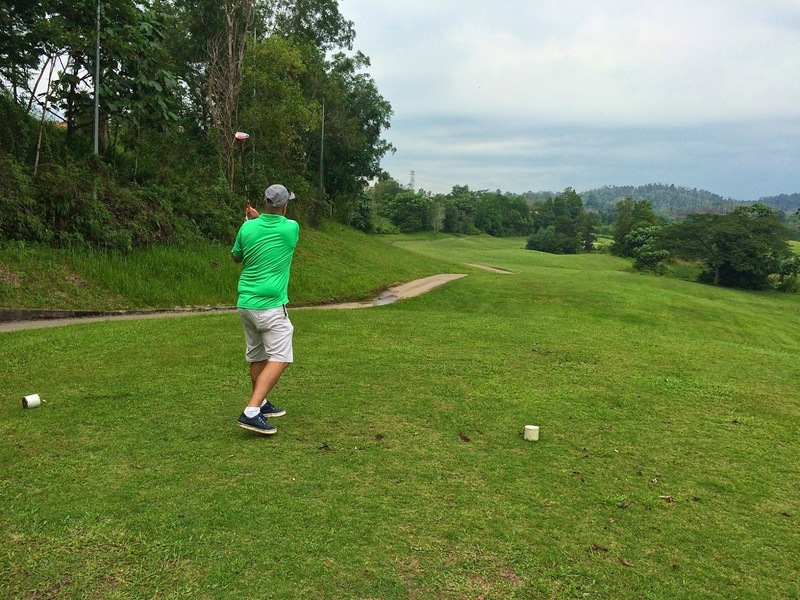 It should then be a short drive back after the game to Rawang for lunch. 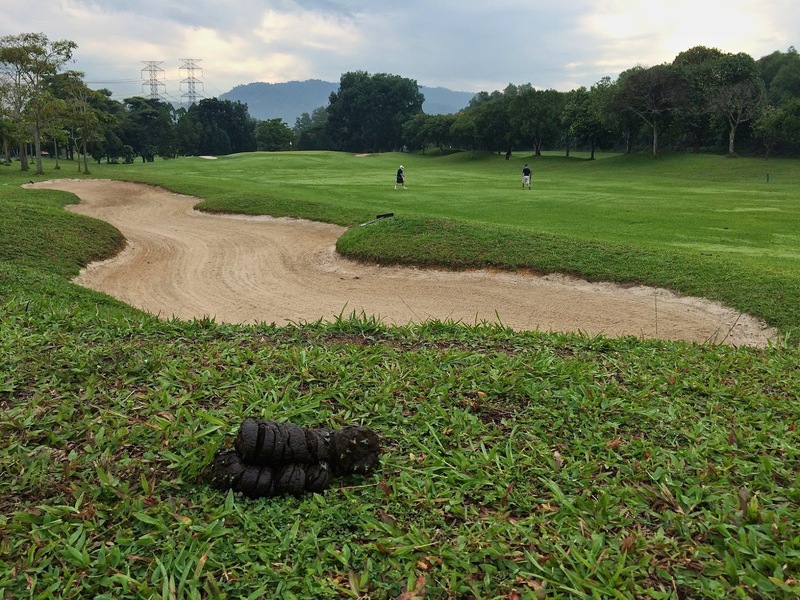 See directions below. 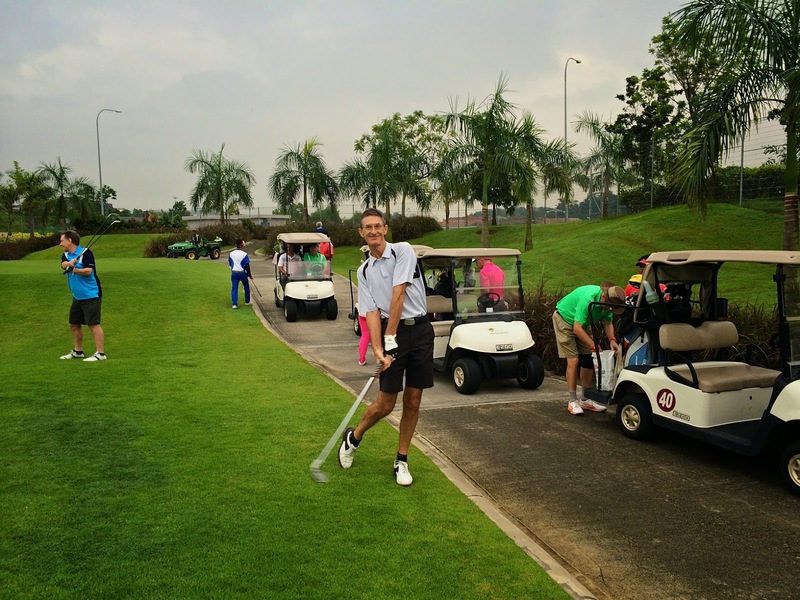 Cost will be RM80 per player inclusive of green fees/buggy/insurance. 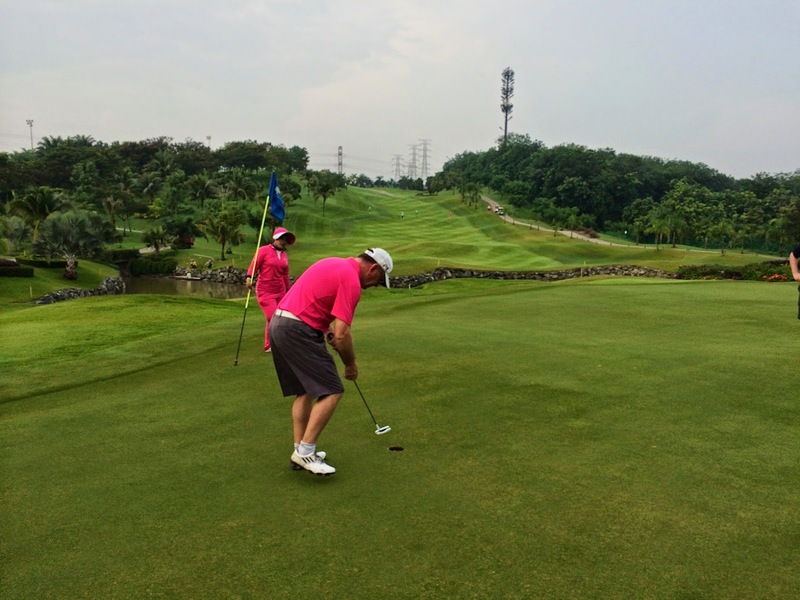 Caddy’s will be available at RM42 each for those that wish. 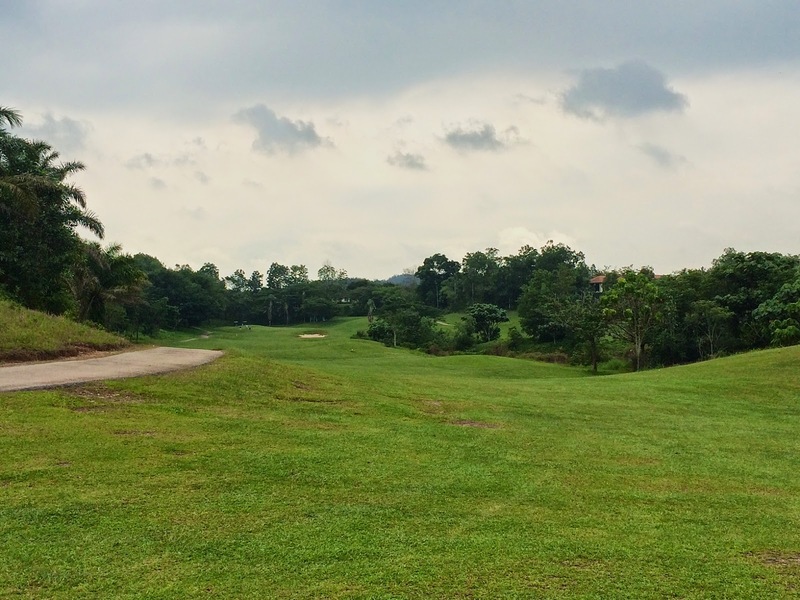 Next week it is a Public Holiday on Tuesday (Vesak Day) so we will play on Monday 12th May at Rahman Putra. 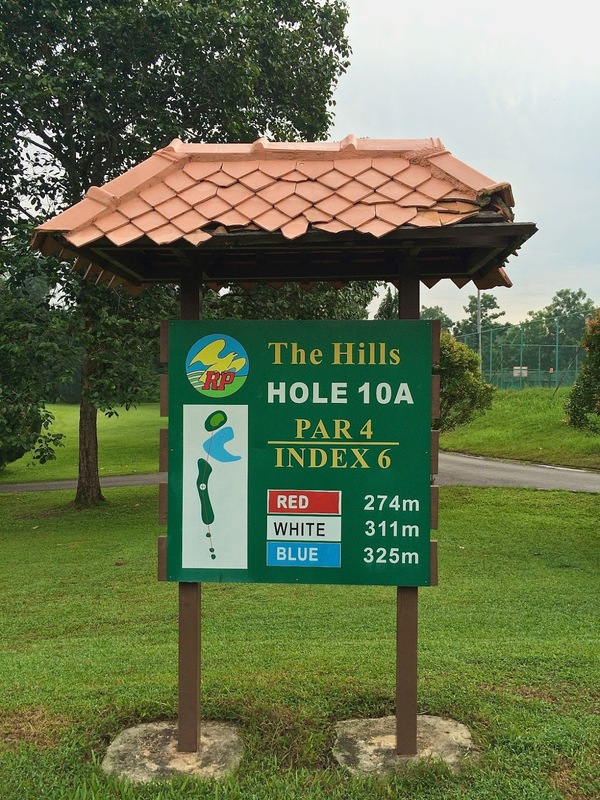 We have the Hills Course booked for an 8:00am tee-off from 2 tee boxes. 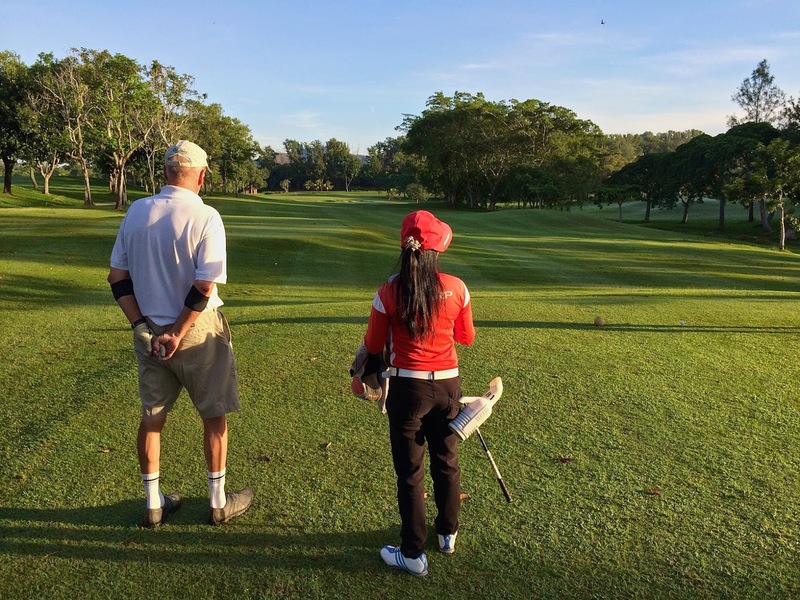 Cost will be RM150 inclusive of green fees/insurance/buggy and compulsory 1 caddy per flight (if available). 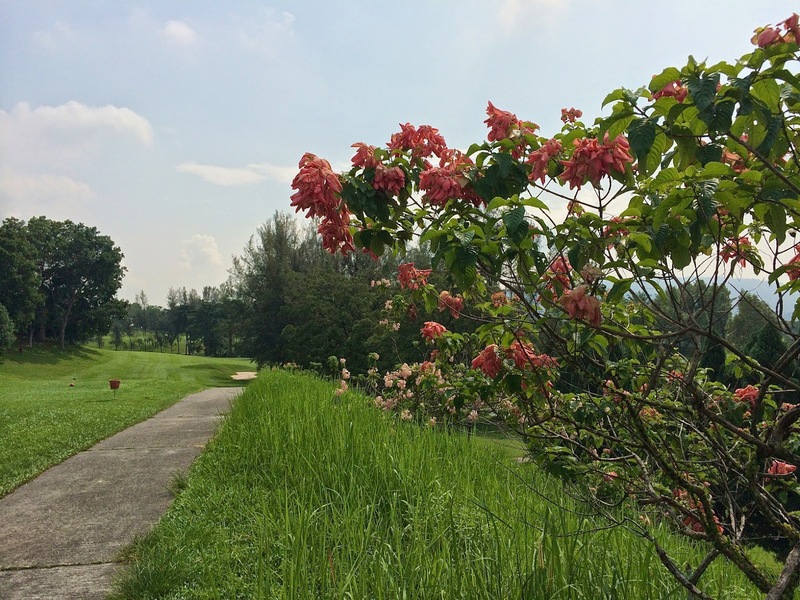 A beautiful clear day, though hot and humid, as twenty Cannons let loose on the fairways of Nilai Springs. 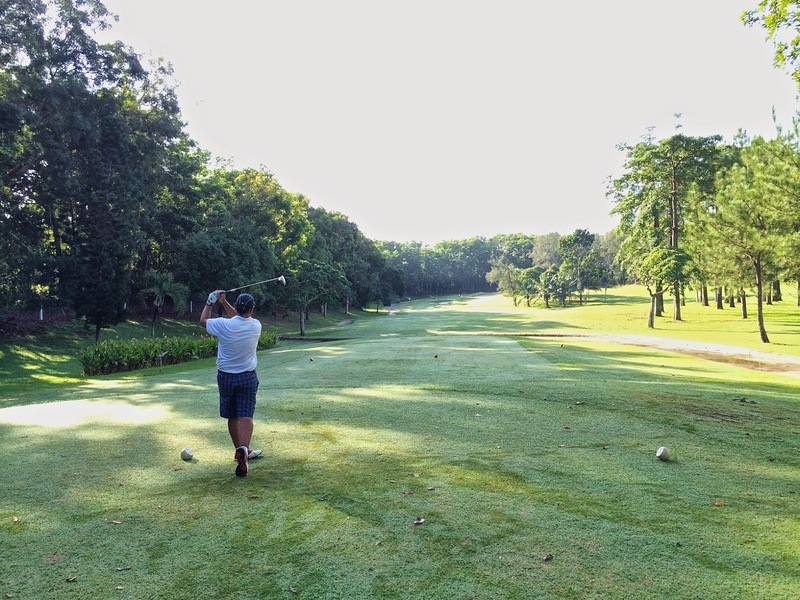 We got off smoothly on two tee-boxes playing the Island and Pines 9’s. 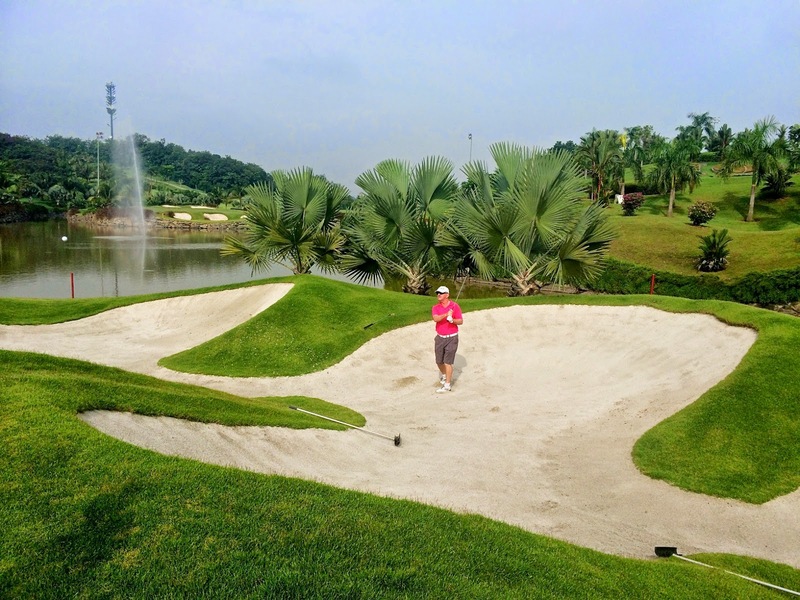 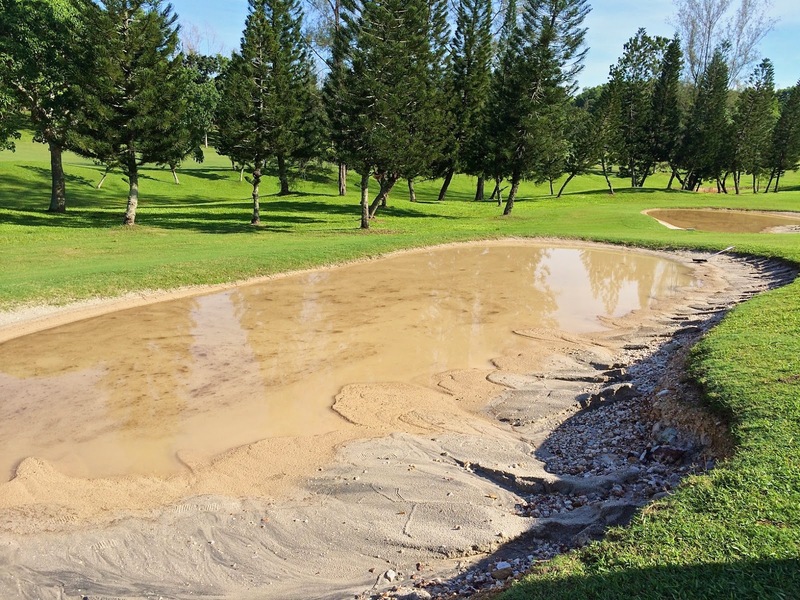 Course condition was very good on the whole although many of the bunkers were full of water due to the heavy rain of yesterday. 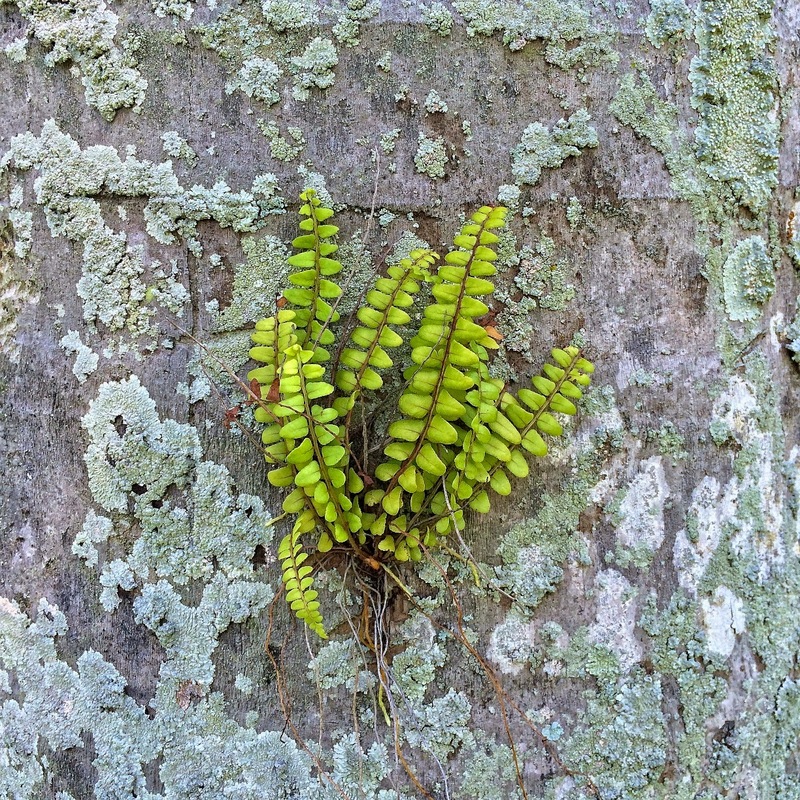 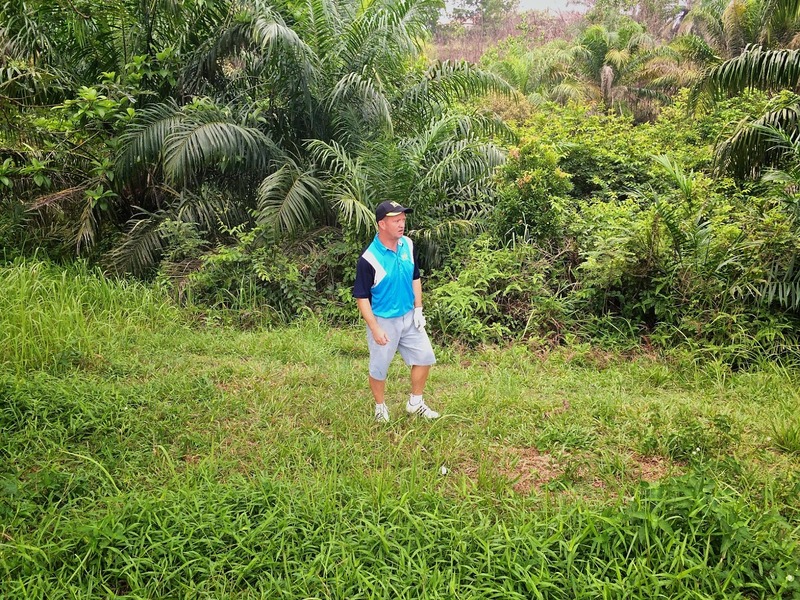 The highlight of our group’s round was watching Paul Geddes emerge from behind a tree having taken a difficult shot on Hole 14 Island, with his back on the tree ….. then jumping around like a madman removing a horde of red ants from his neck, legs and arms. 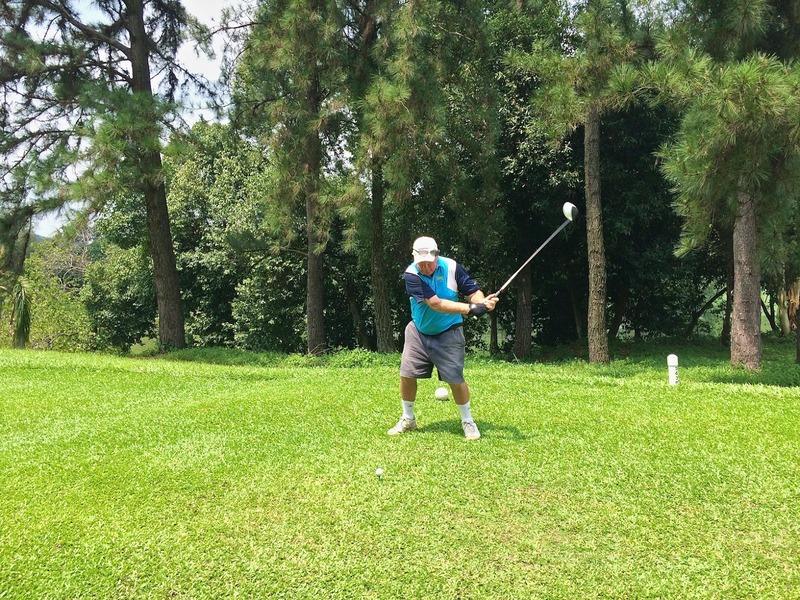 It got better …. 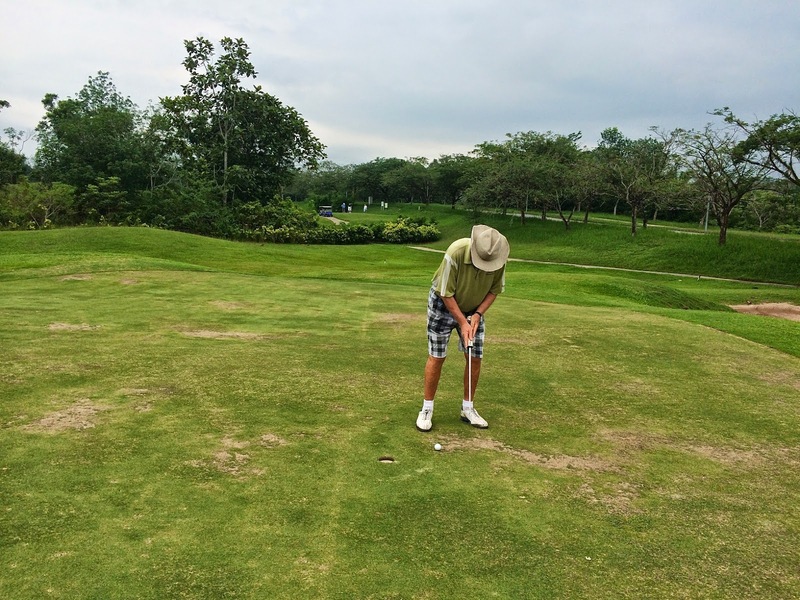 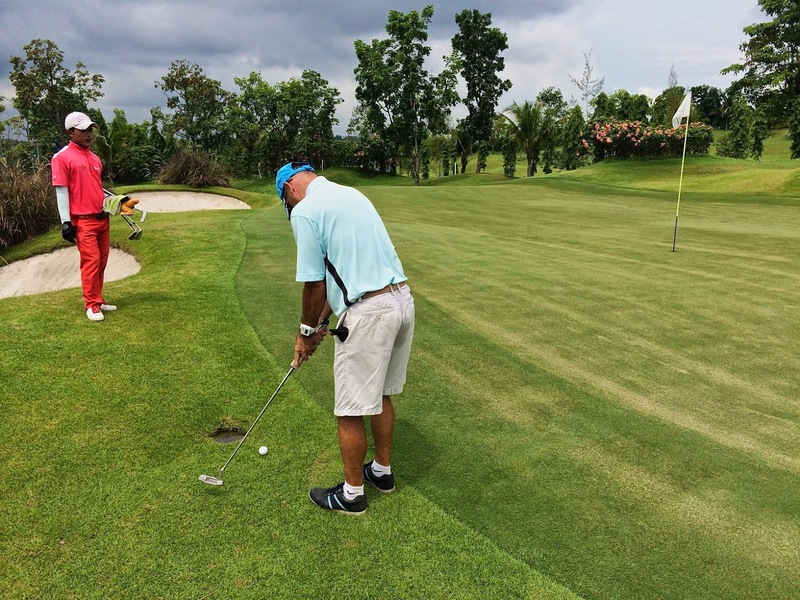 one hole later as Paul walked on to the green to attempt a very make-able birdie putt he suddenly screamed and shot off the green, dropped his shorts behind the buggy and then removed one persistent red ant which had secured itself onto Paul’s valuables inside his underwear …. 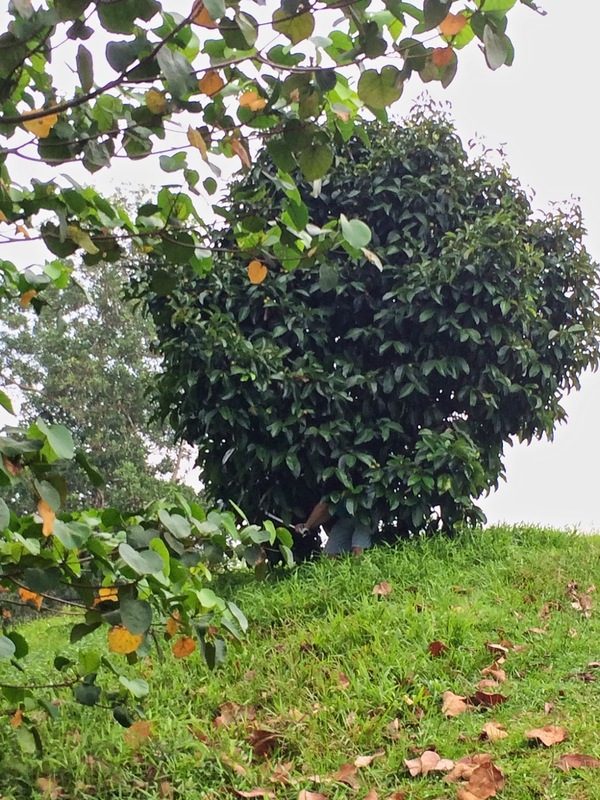 most amusing to watch (see photo below). 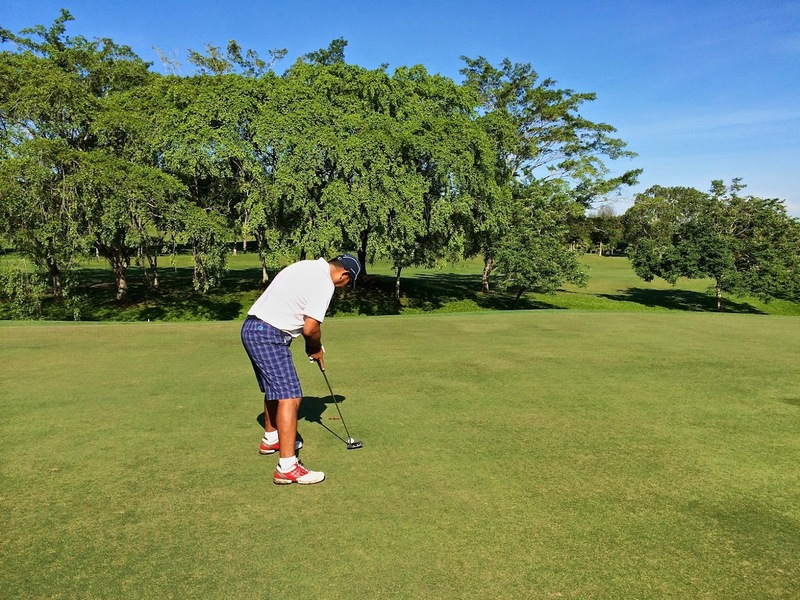 He then came back to the green and understandably …. 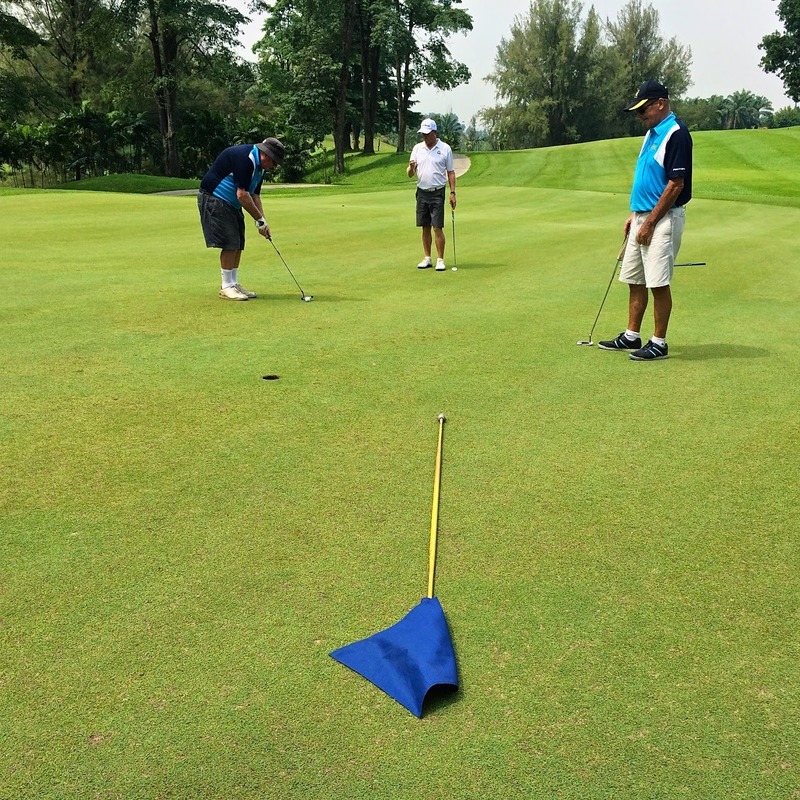 3 putted for a bogie! 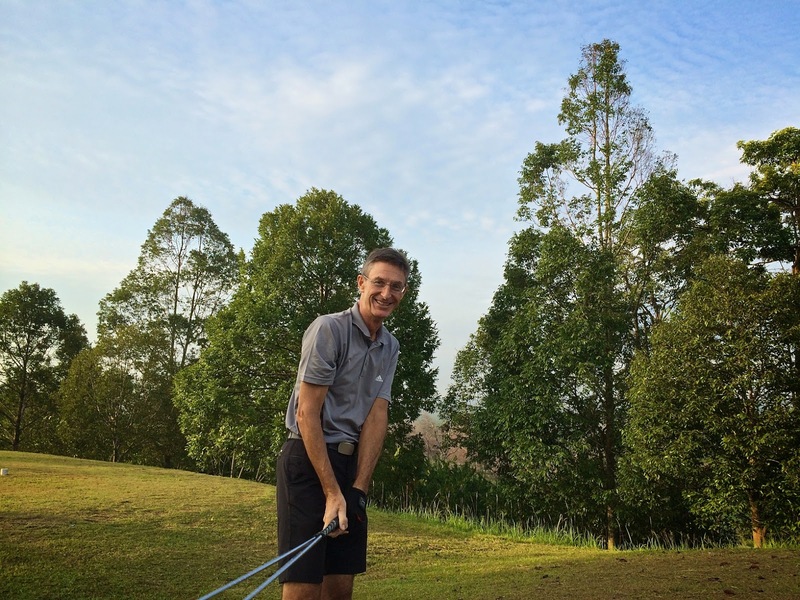 It was great to witness some good form from Richard Moss who posted an excellent score of 37 points today … the new hip is now starting to pay for itself. 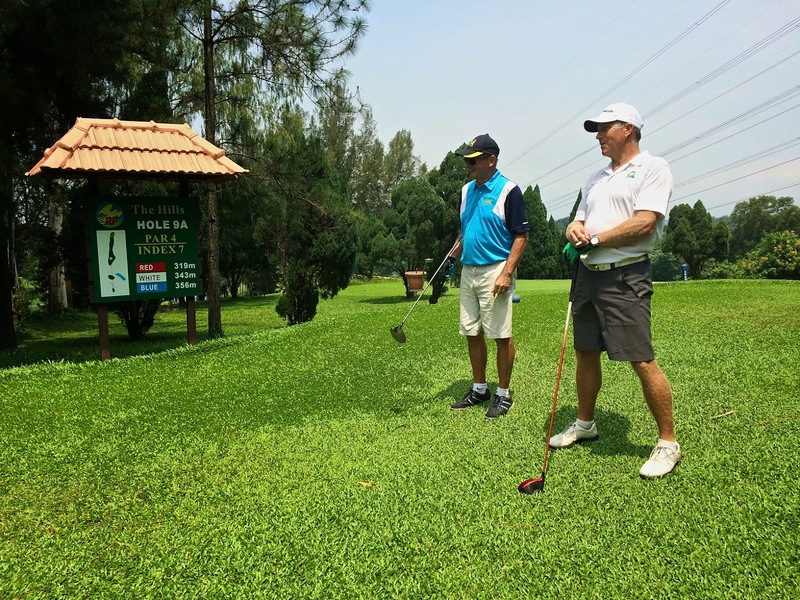 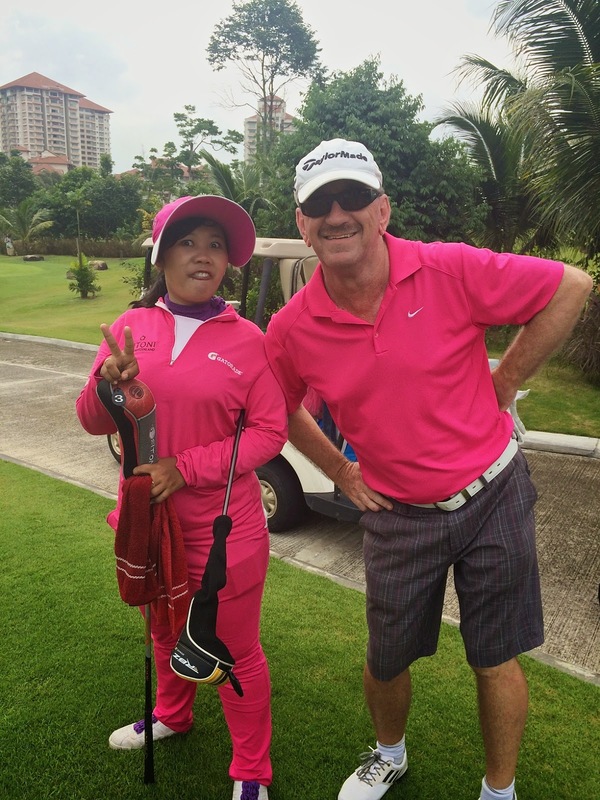 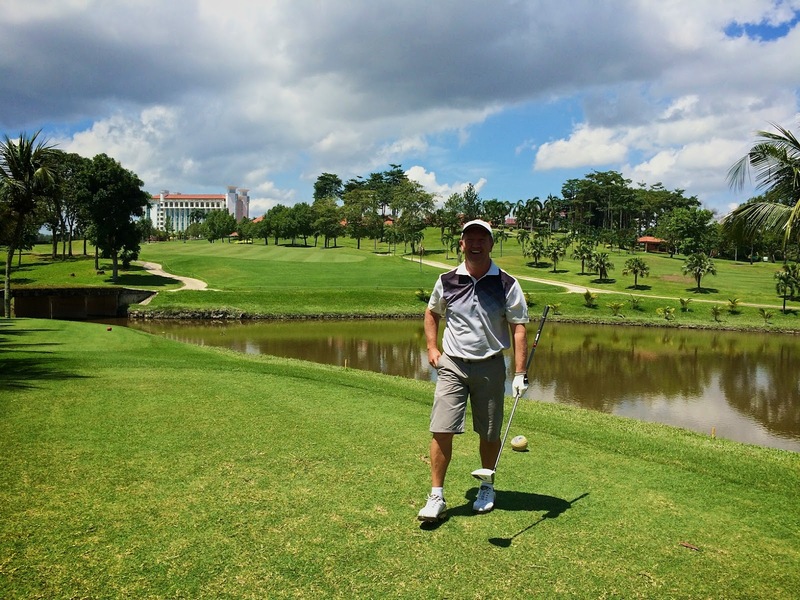 He and Paul Geddes both pitched in on the last Par 3 (Hole 26) on the Pines Course for birdie 2’s …. 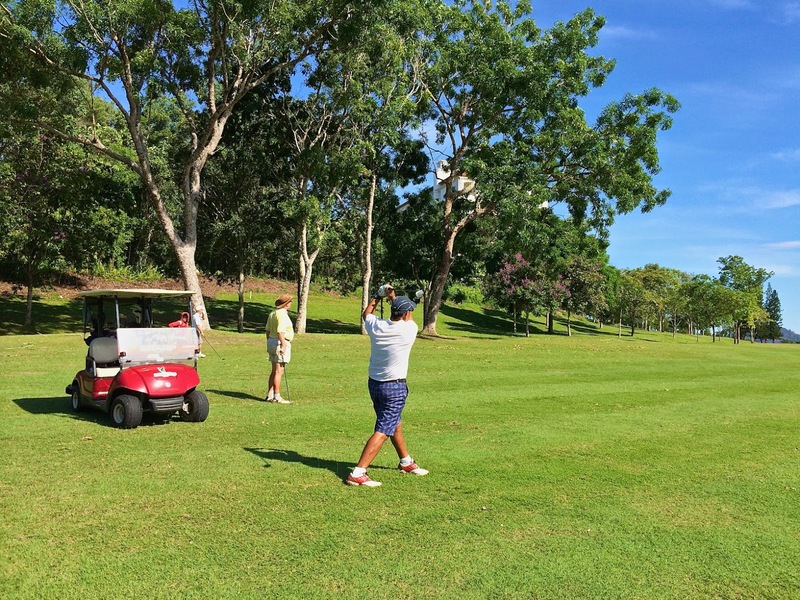 Richard picking up a 5 pointer! 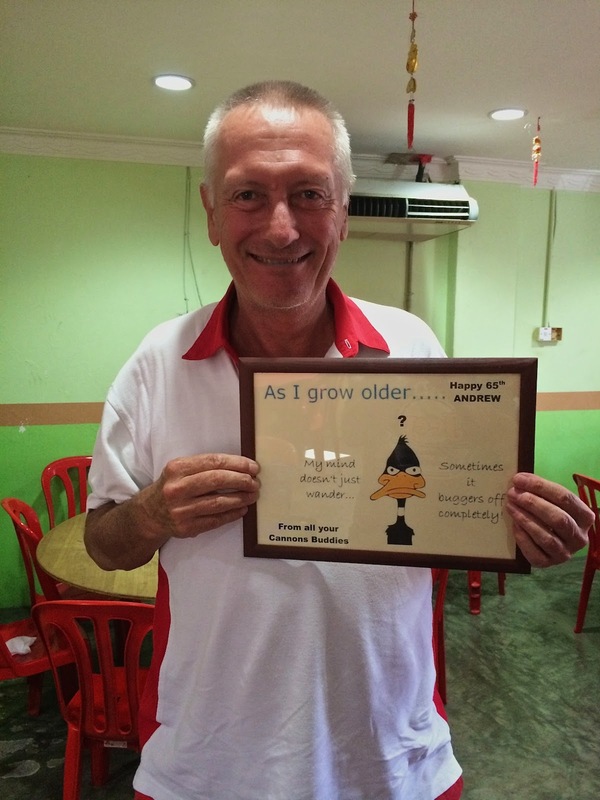 Post game lunch was taken at the Dengkil Seafood Restaurant which was very good and most reasonable. 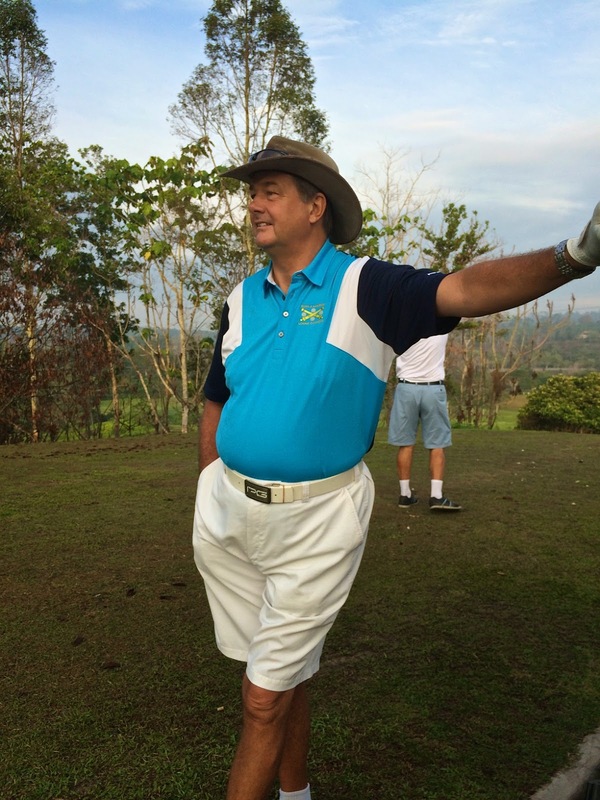 A Big Thank You goes out to Andrew Robinson celebrating his 65th Birthday who kindly sponsored the drinks. 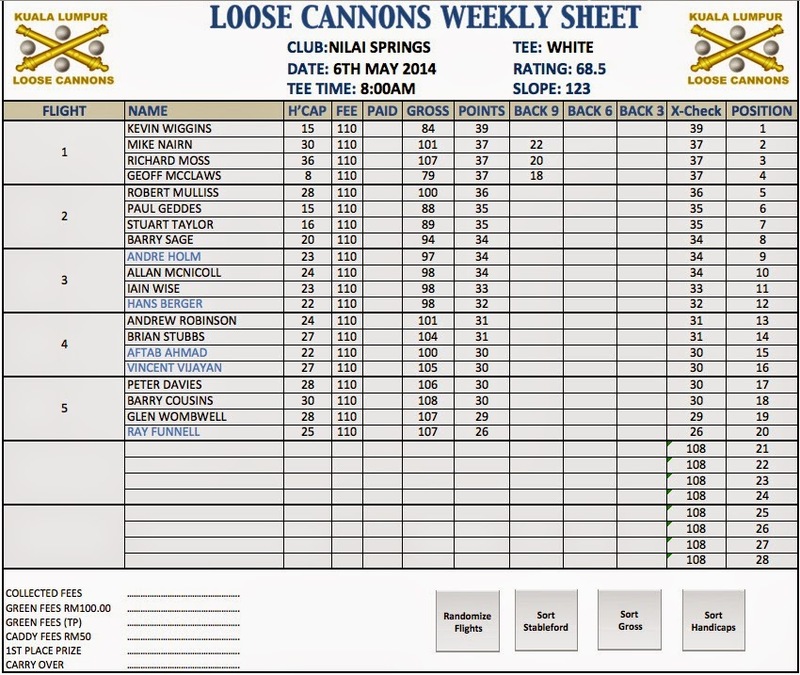 A Birthday poster from the Cannons Buddies was presented to Andrew care of Mr Barry Cousins (see photo below) …. 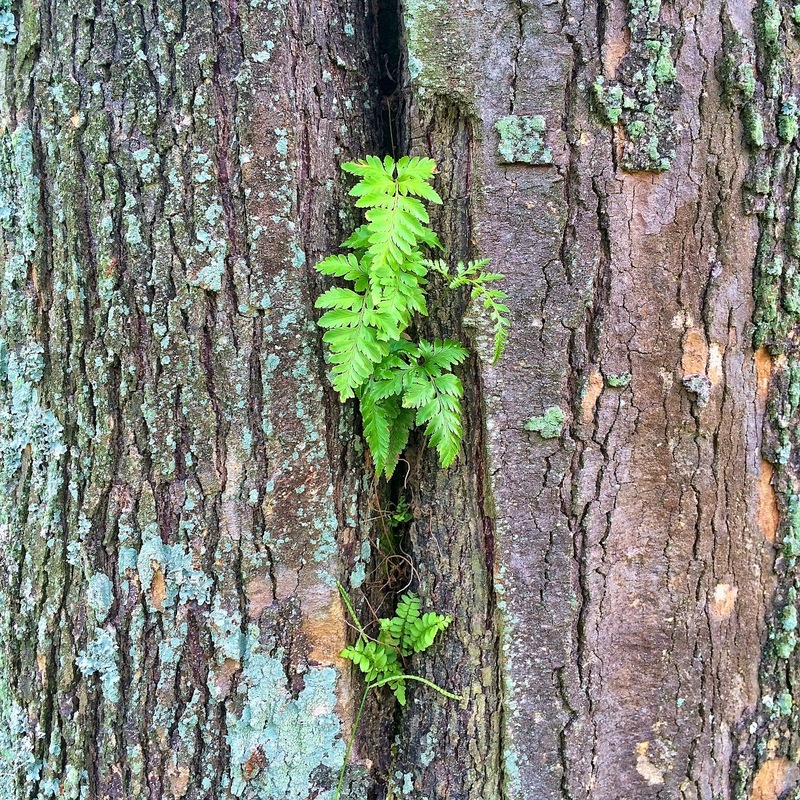 thank you Barry. 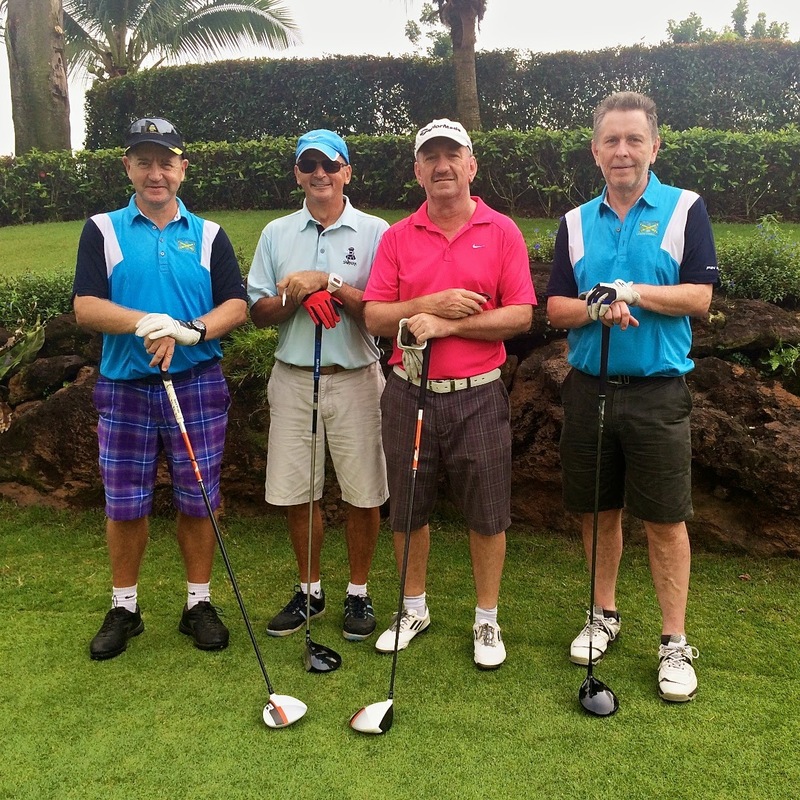 Some good scores today with 4 players playing below their handicap. 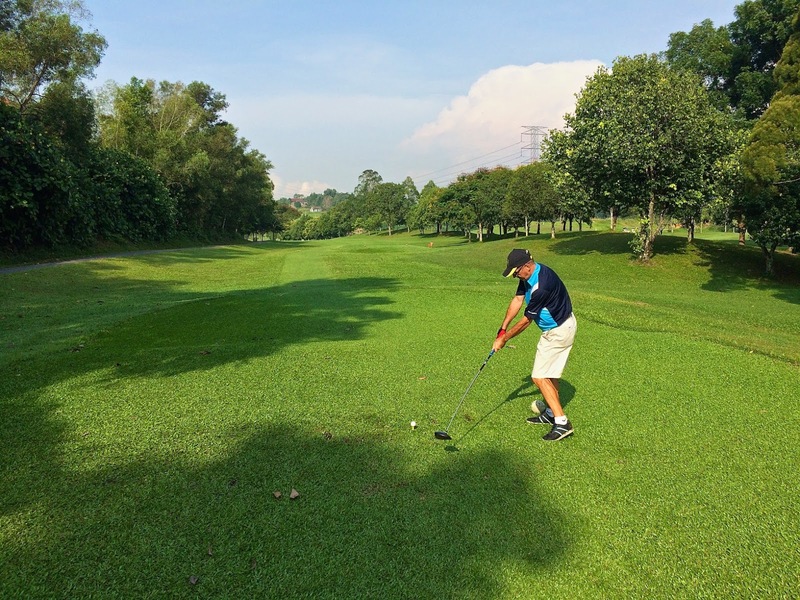 At first I thought it was a count back for 3 players on 37 points but noted that indeed we had a clear winner with Kevin Wiggins playing an excellent round of 84 for 39 points – well done Kevin. 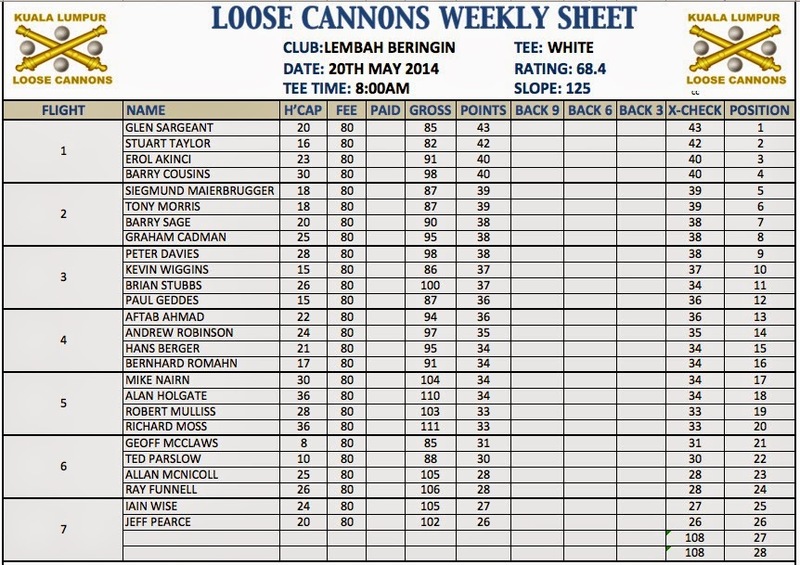 Second place on 37 points and on count back from Richard Moss and Geoff McLaws (also on 37 points) was Mike Nairn with a gross of 101.